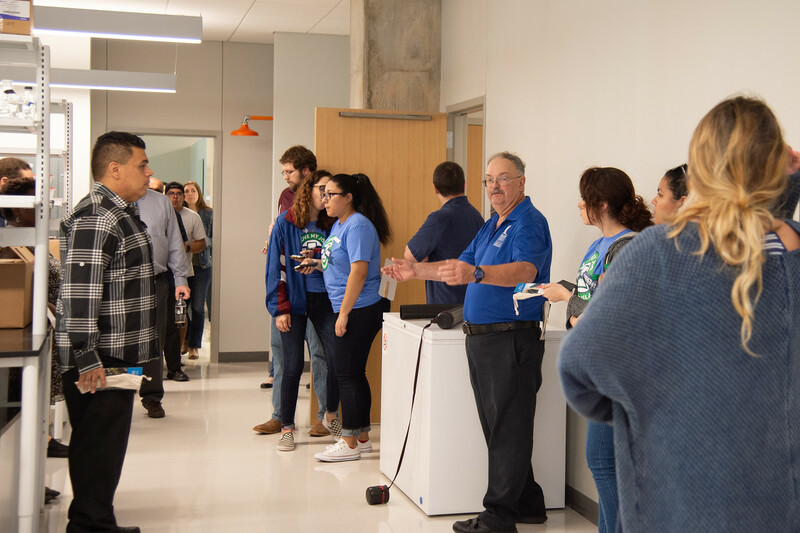 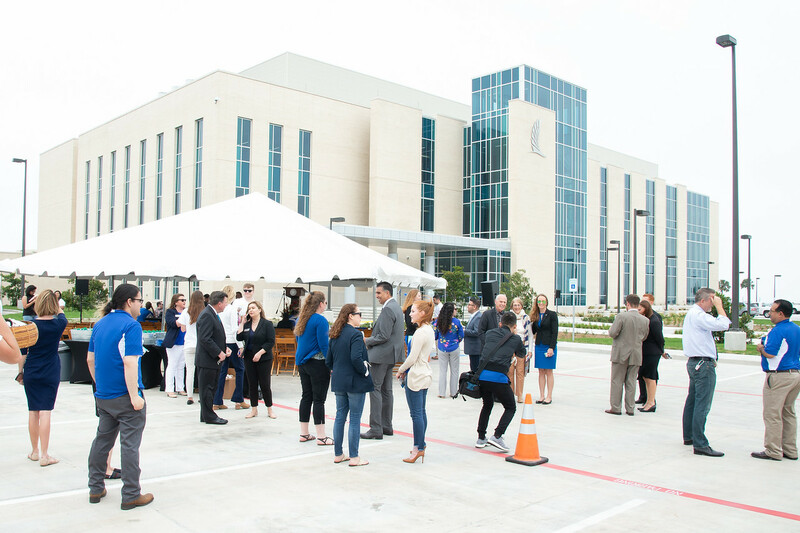 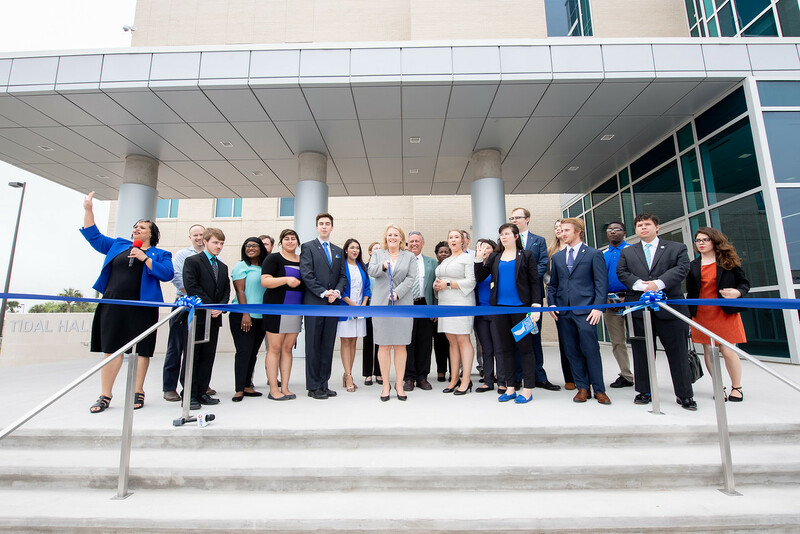 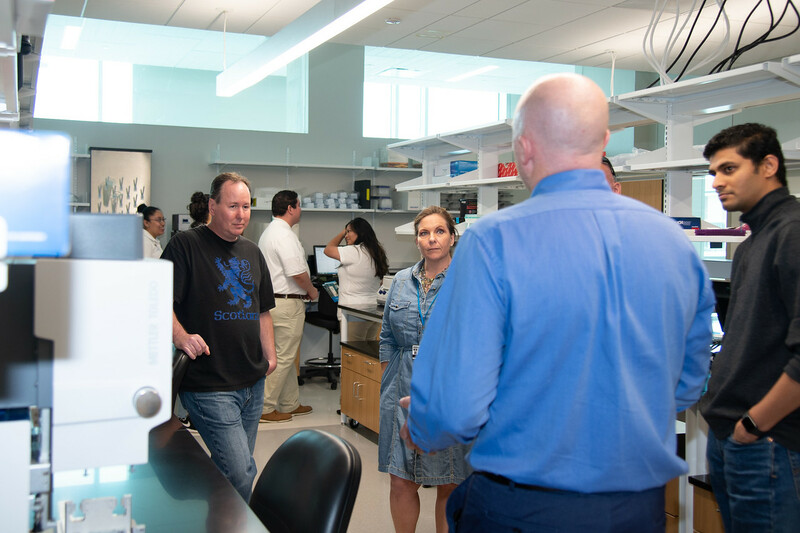 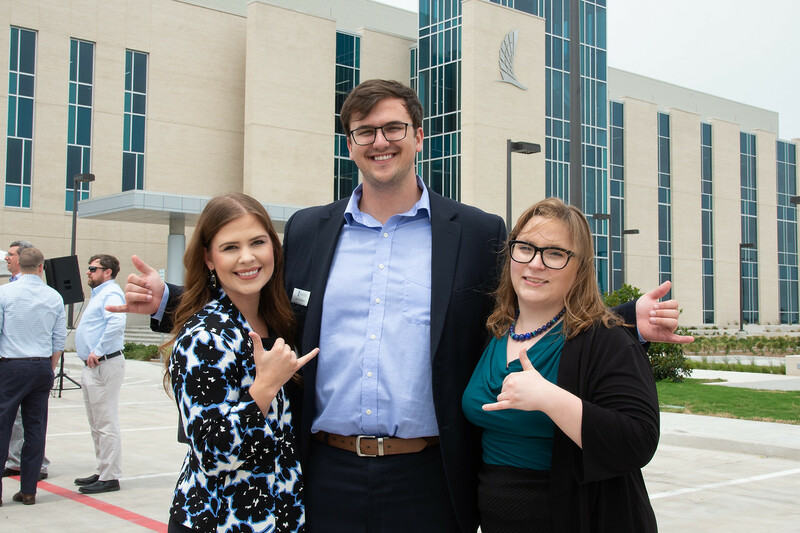 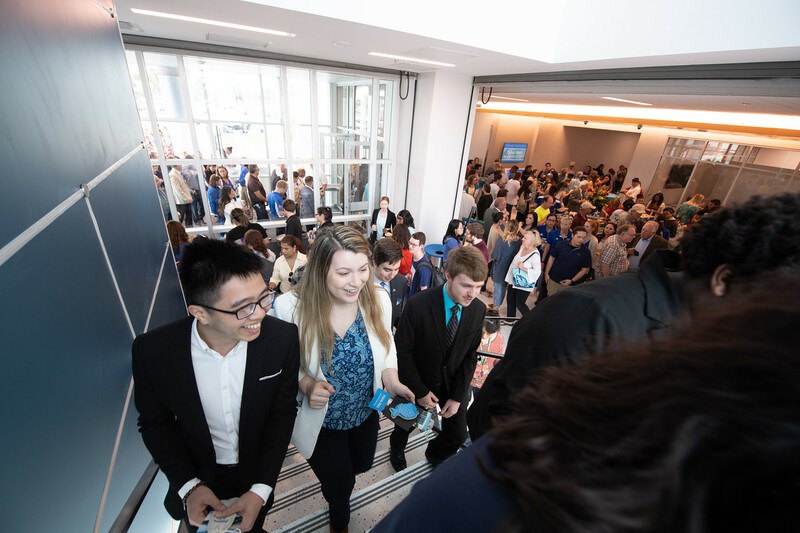 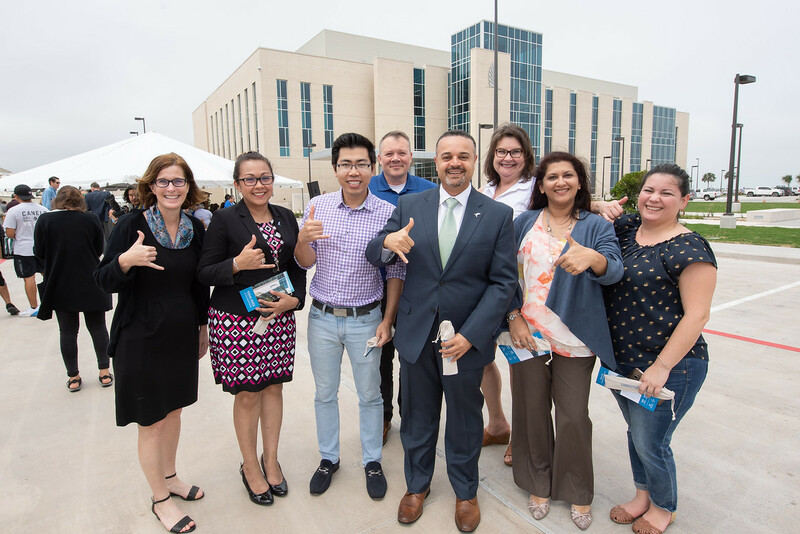 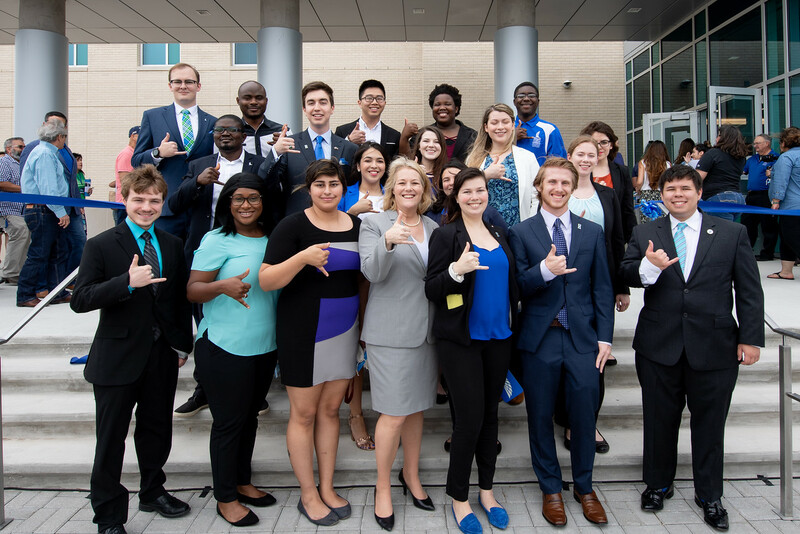 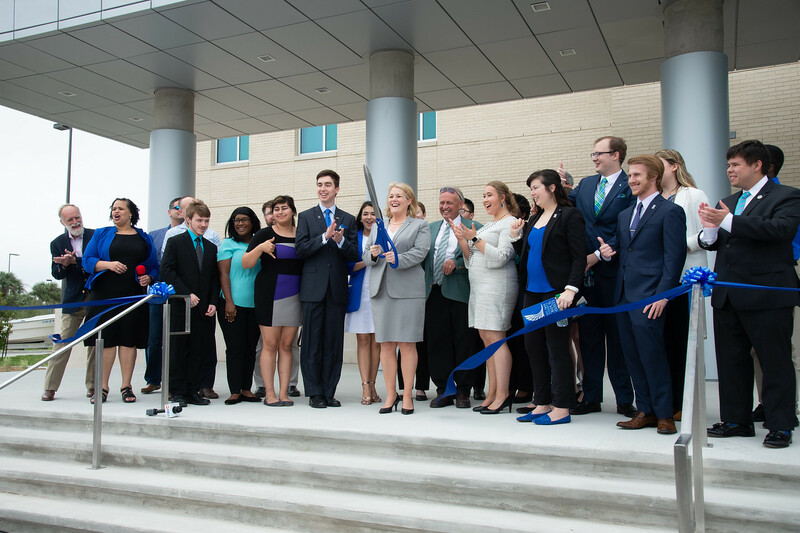 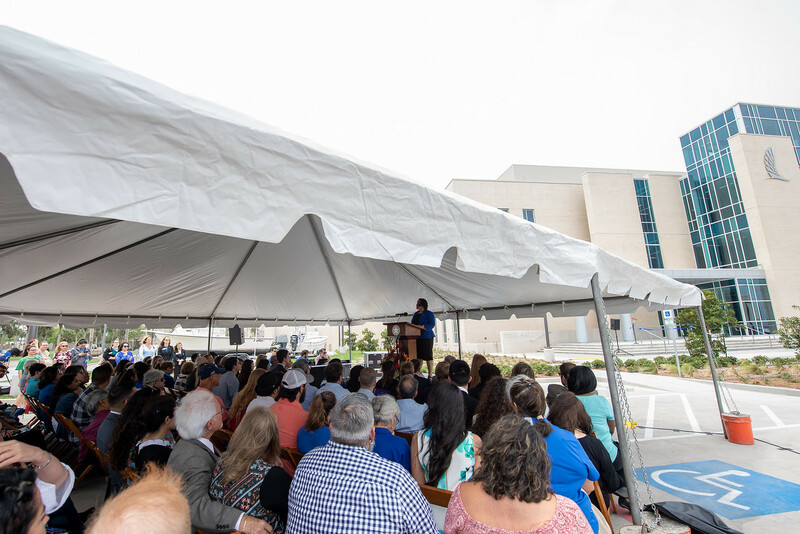 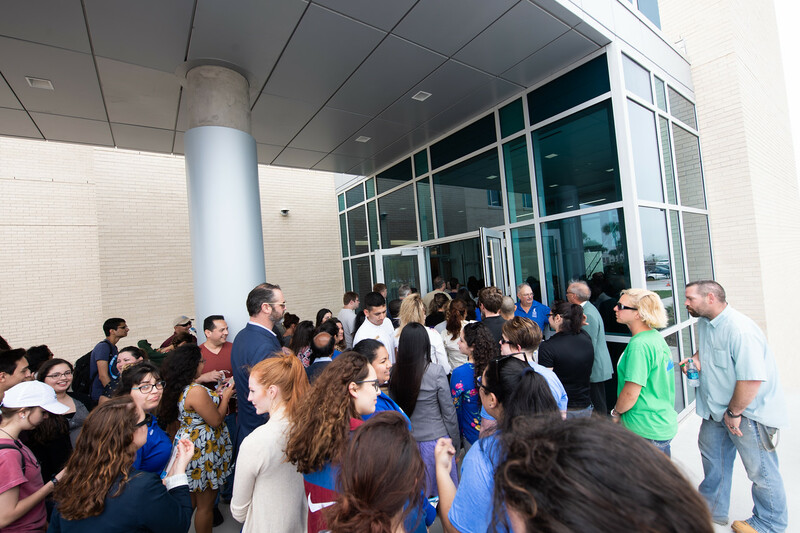 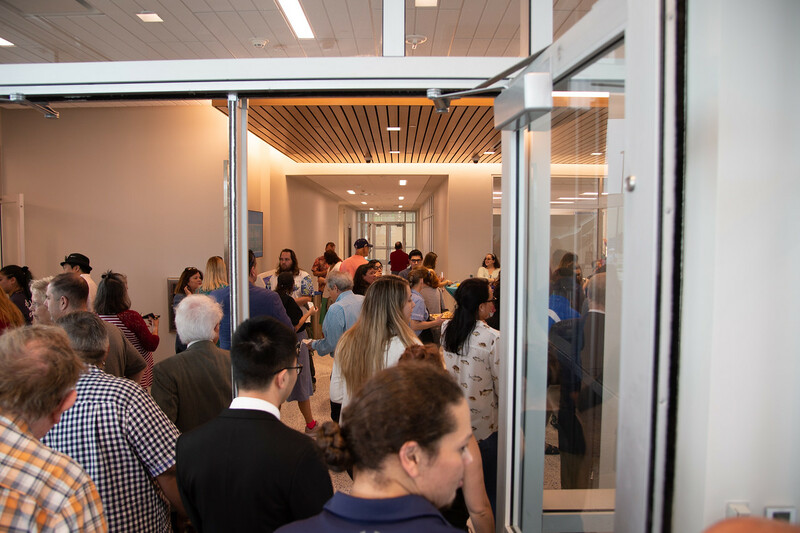 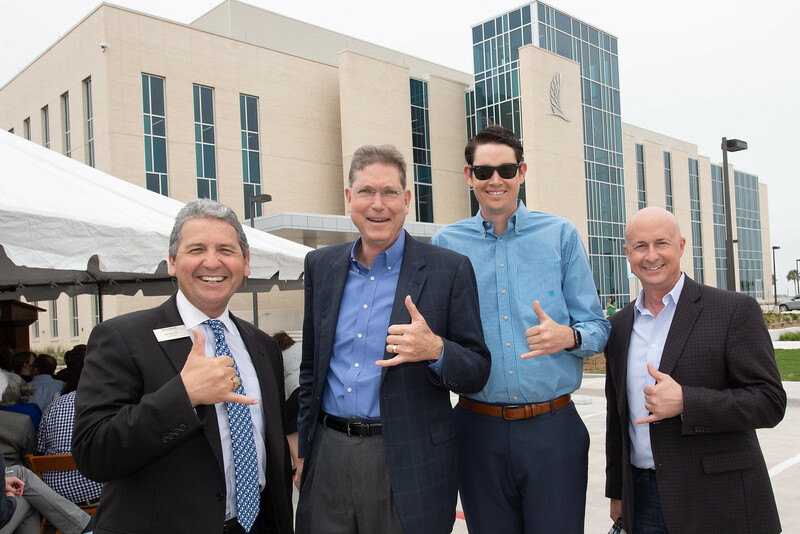 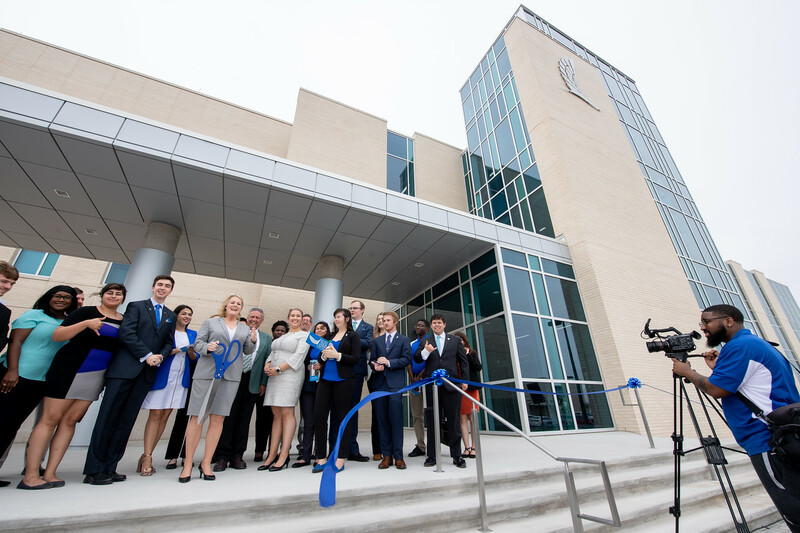 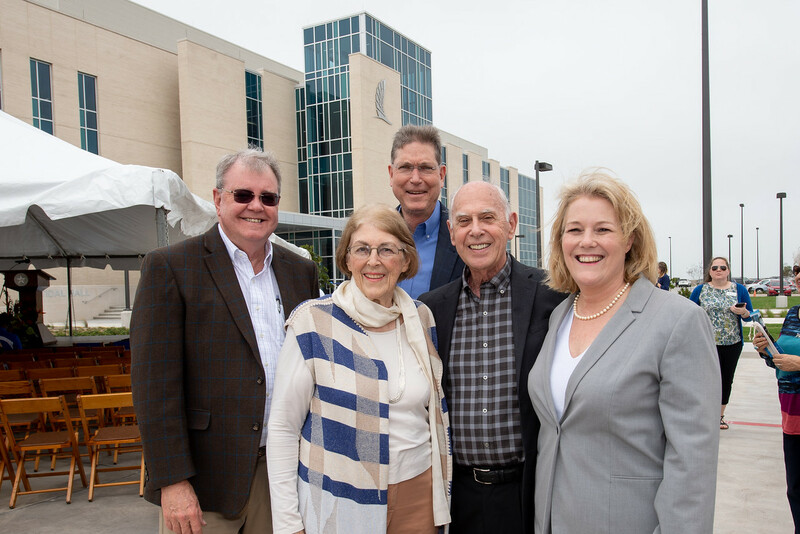 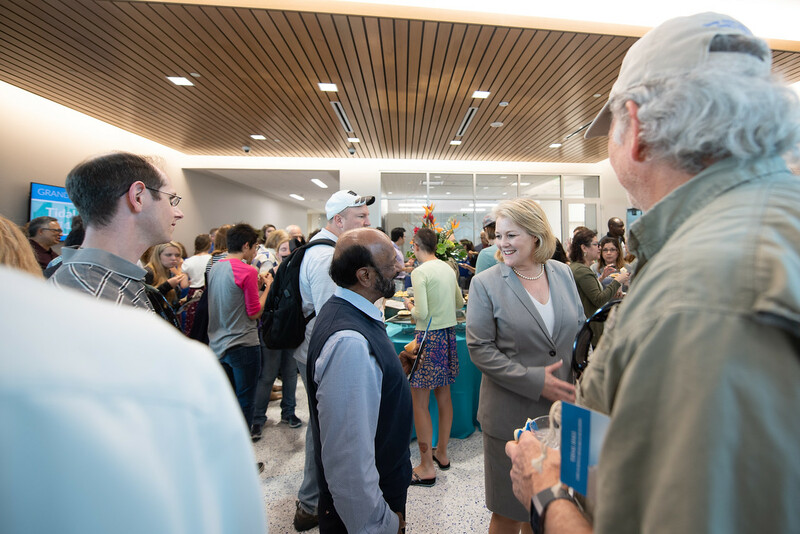 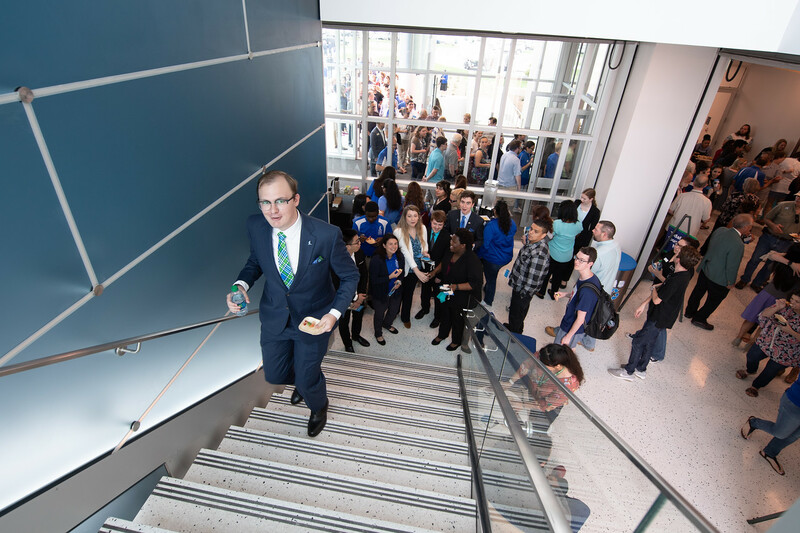 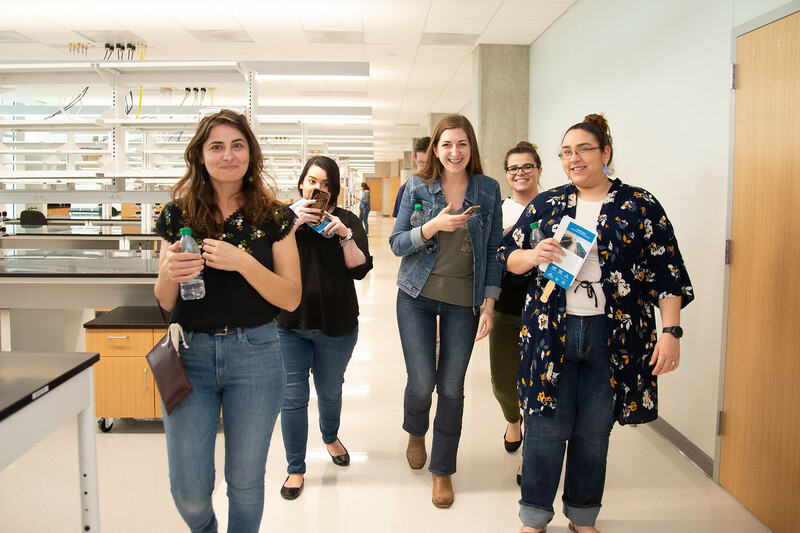 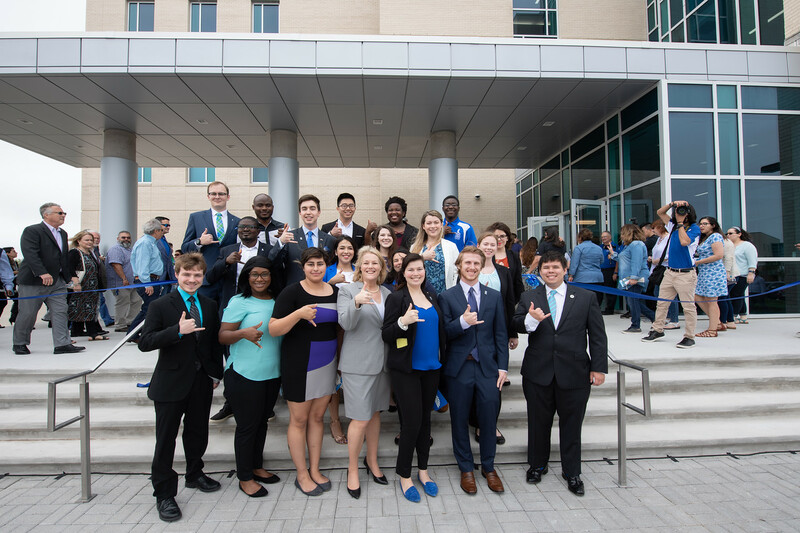 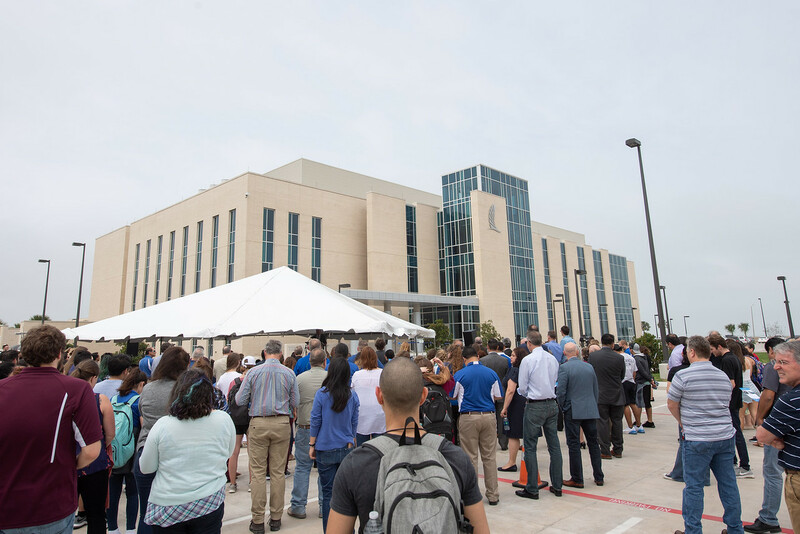 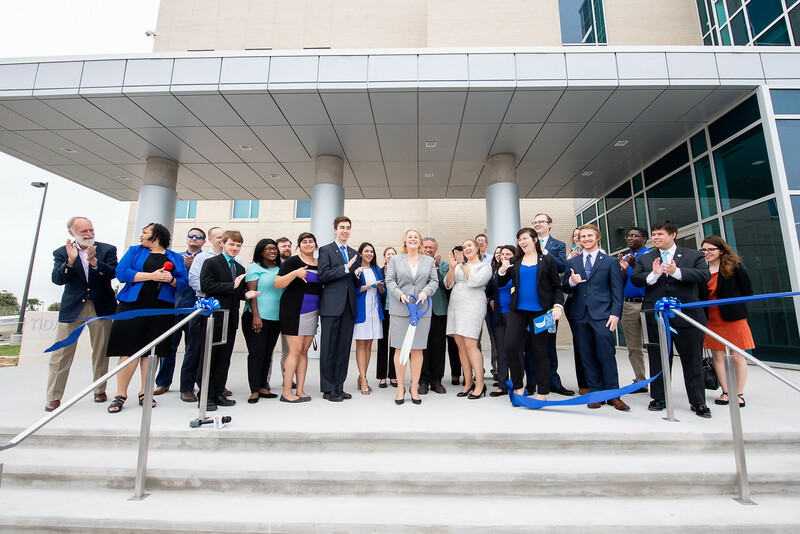 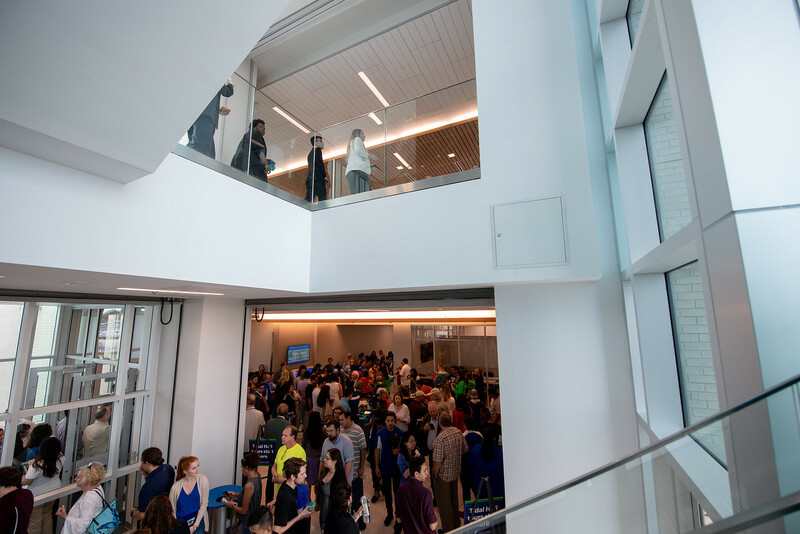 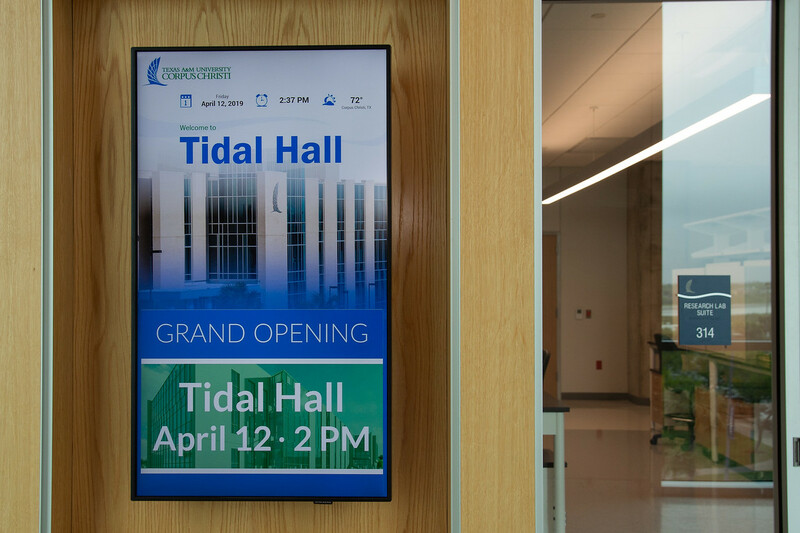 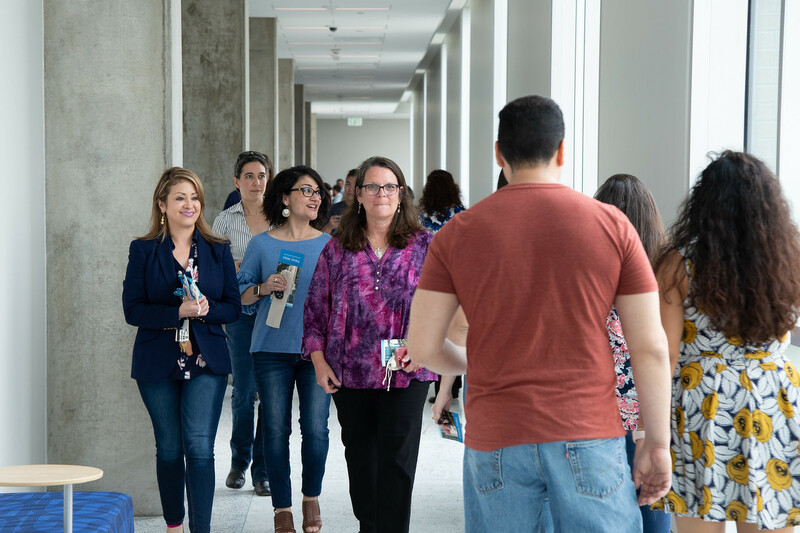 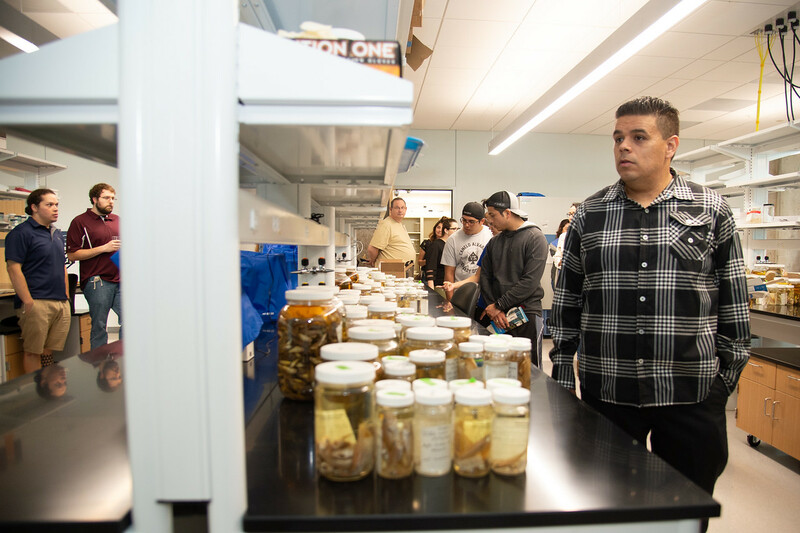 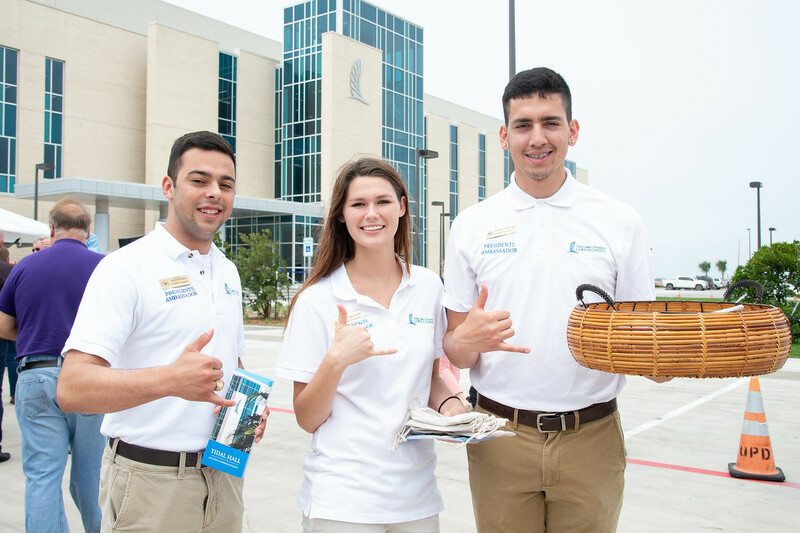 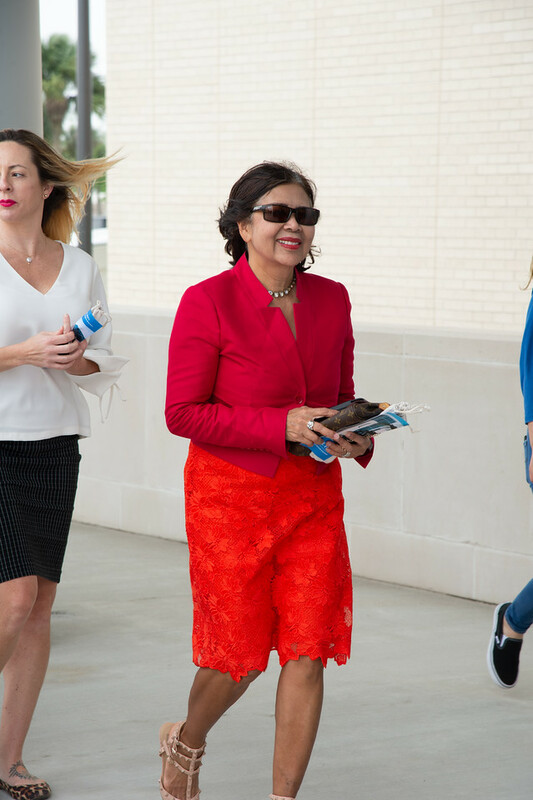 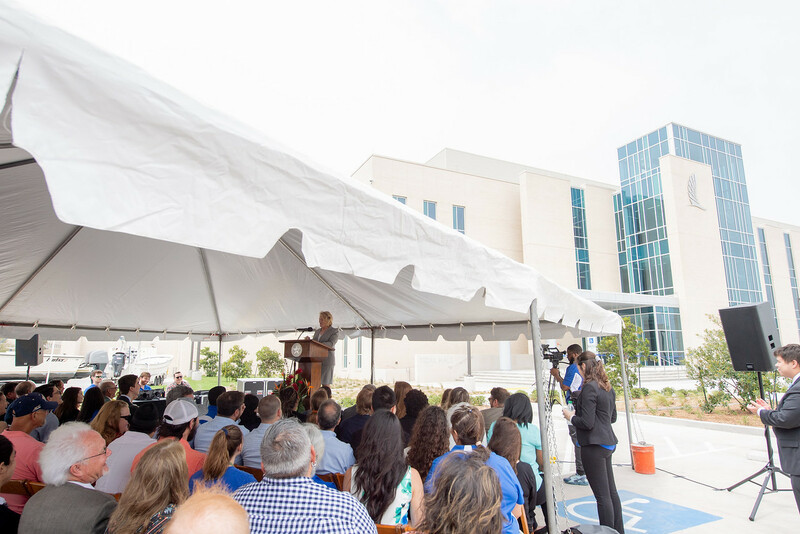 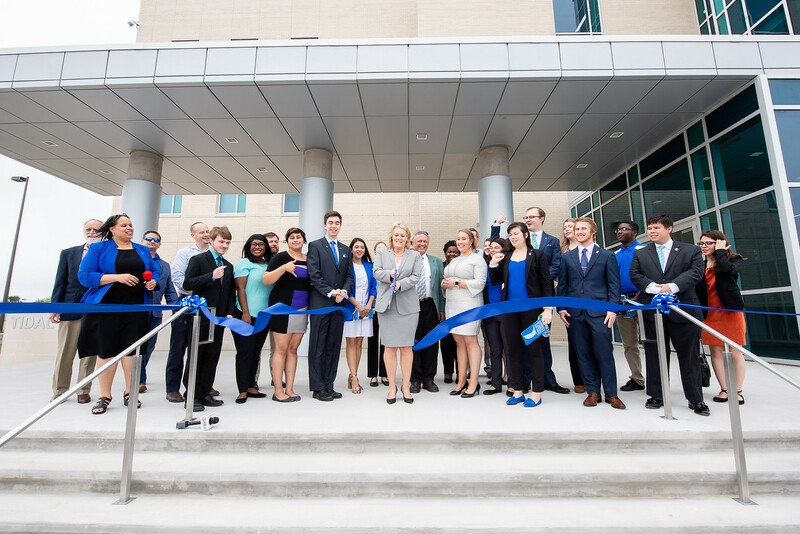 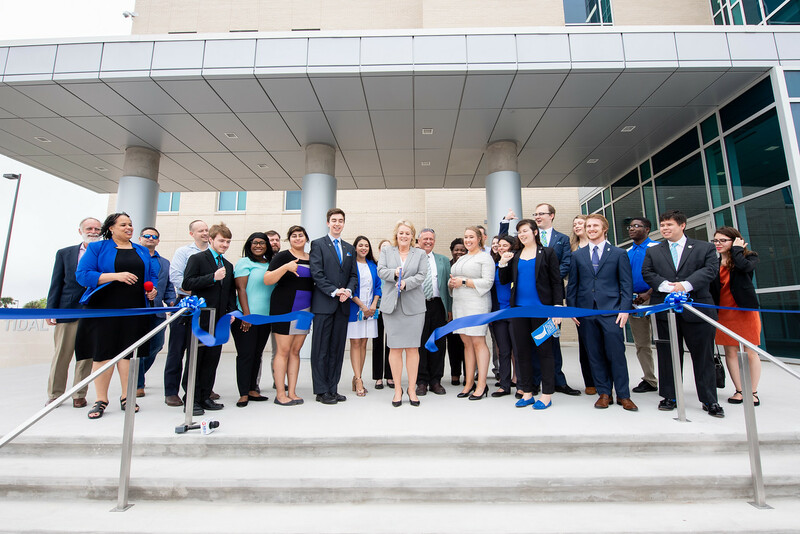 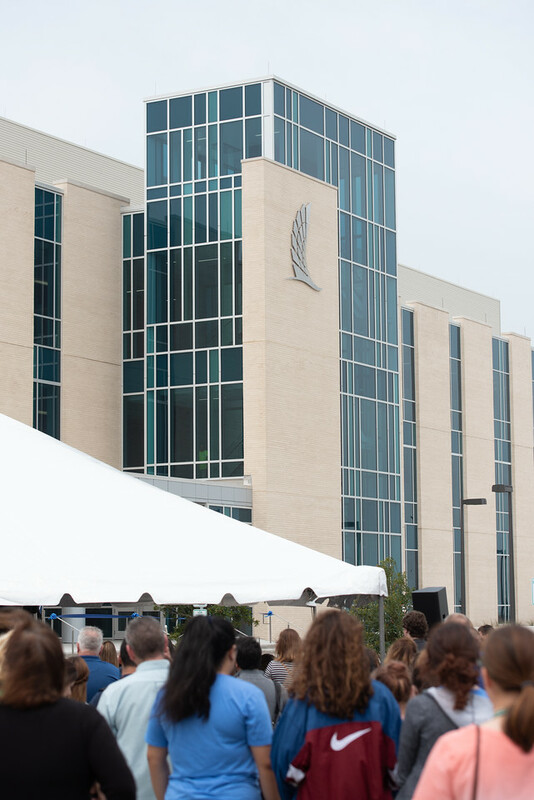 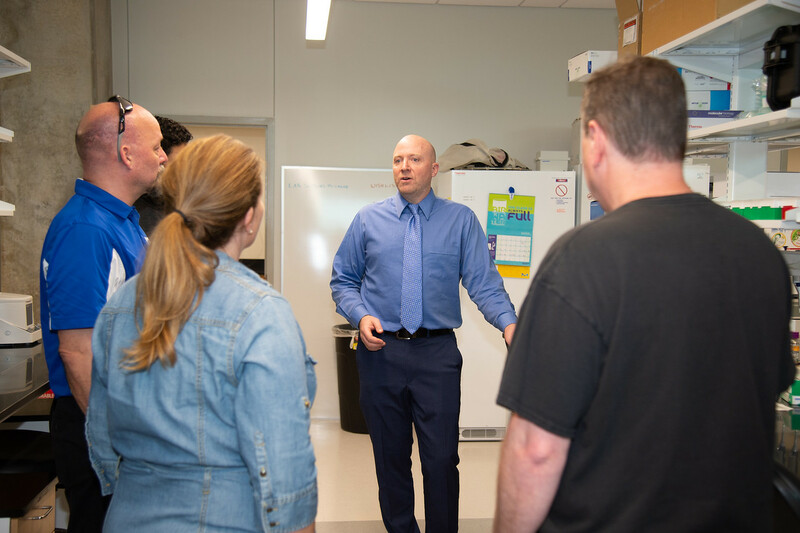 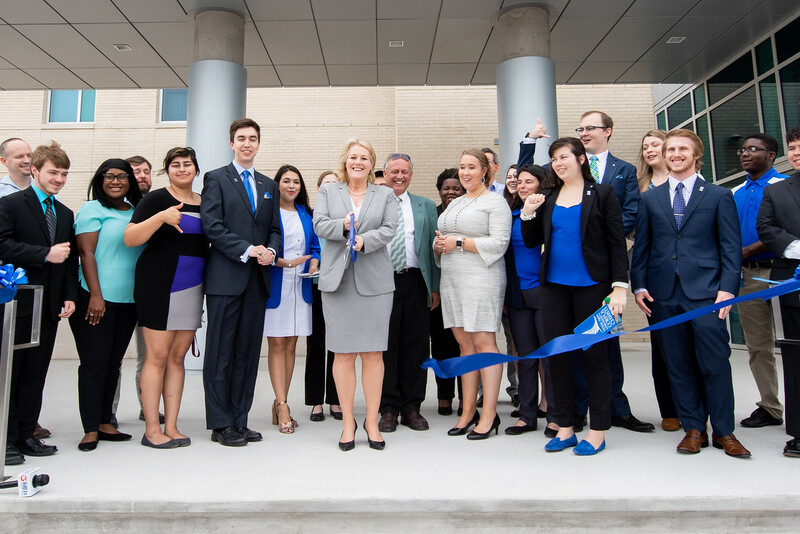 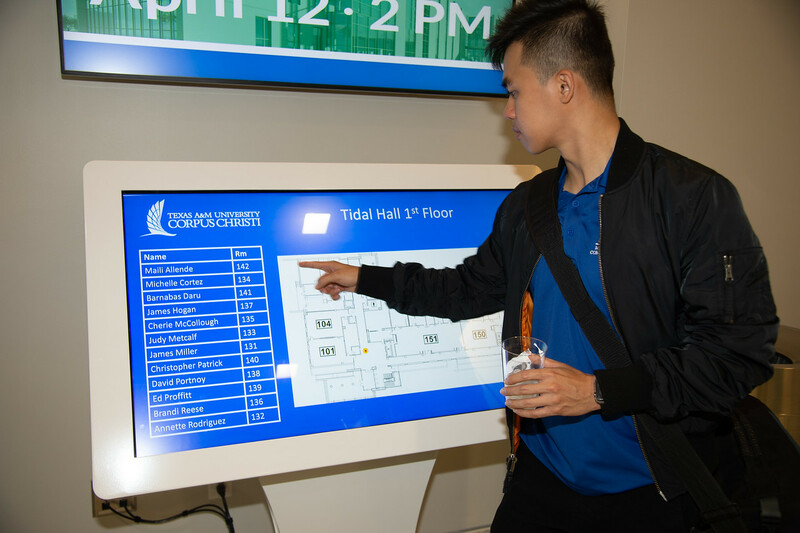 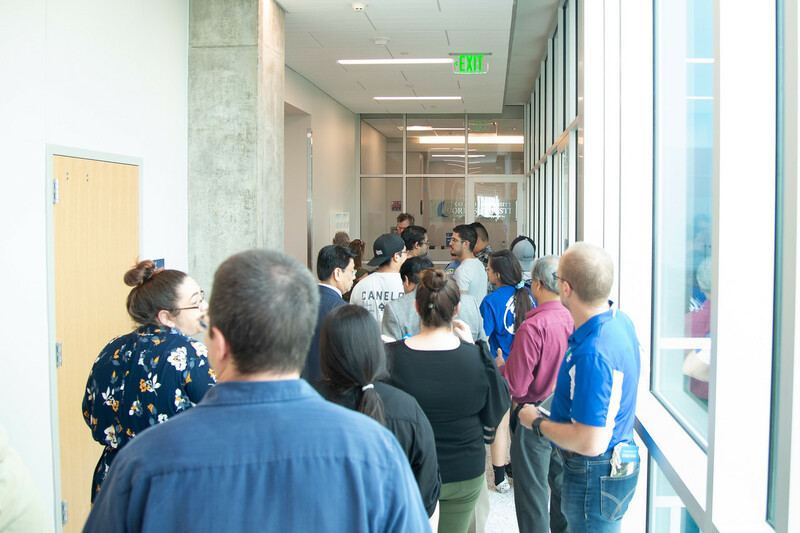 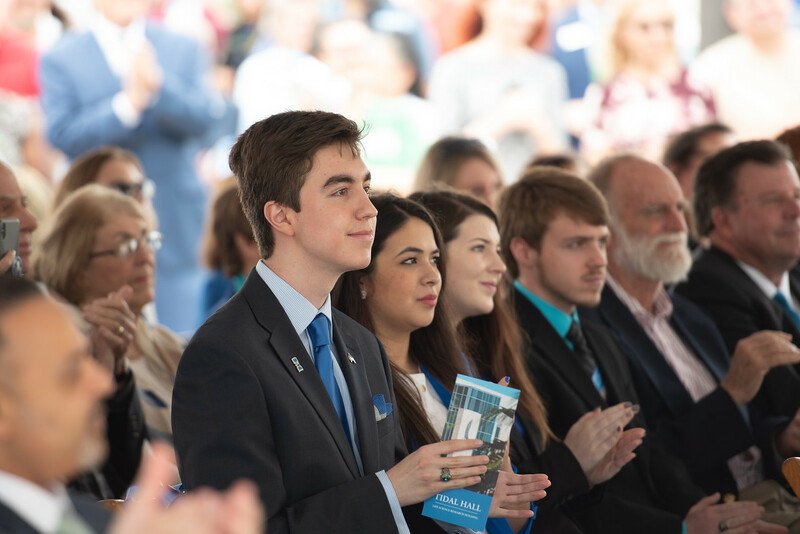 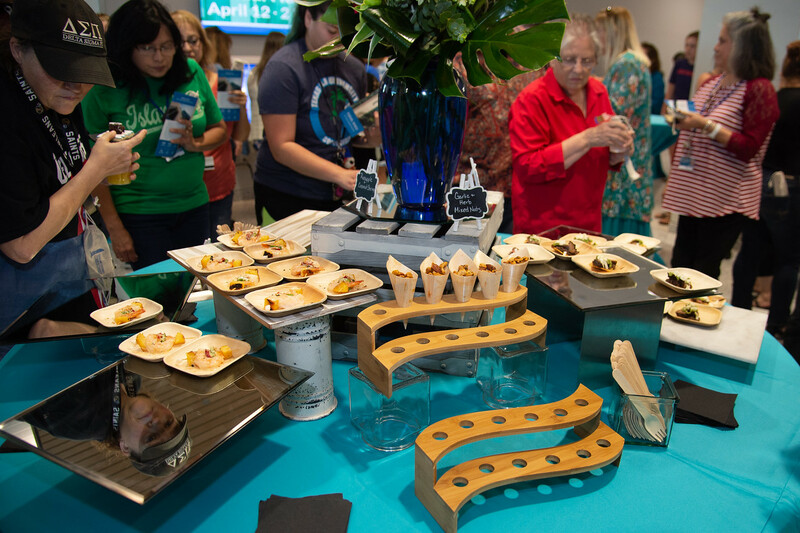 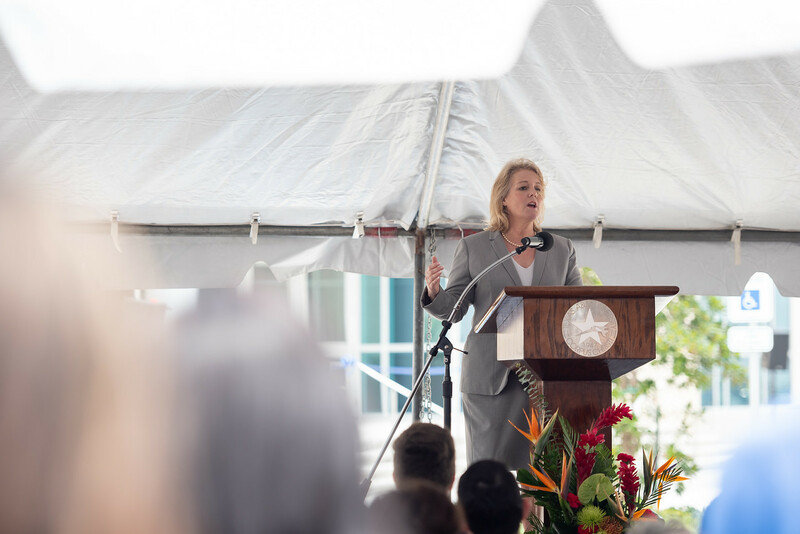 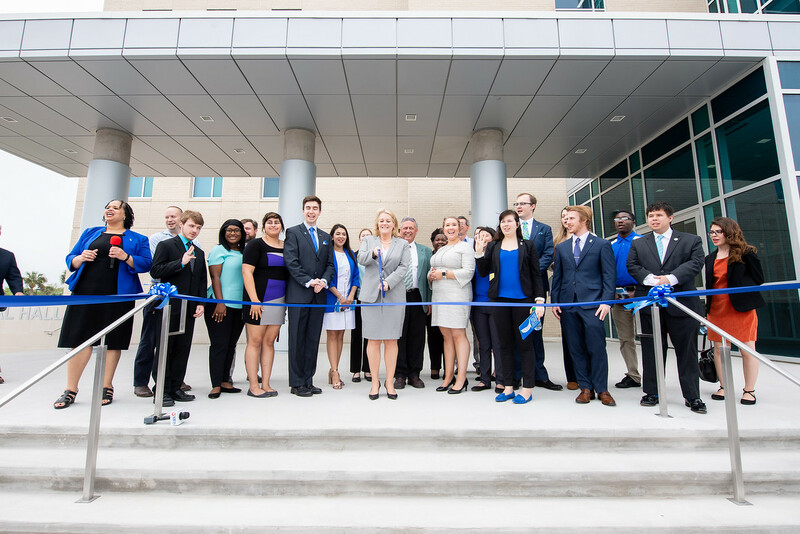 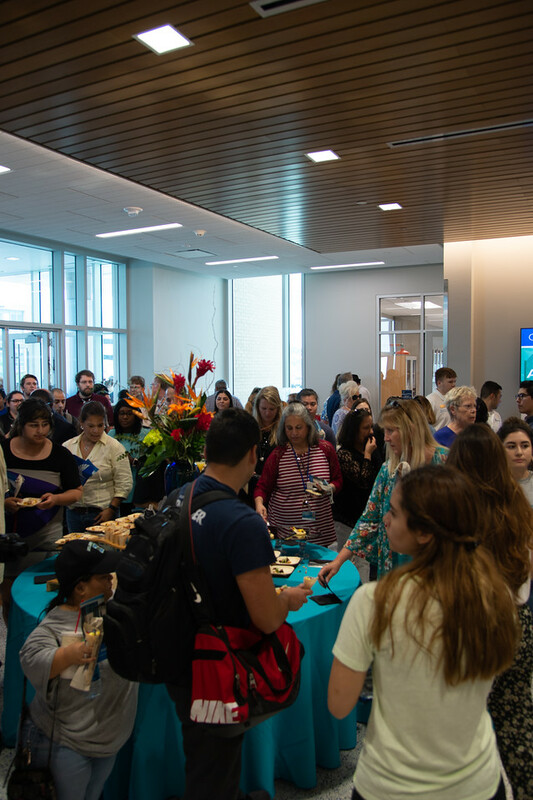 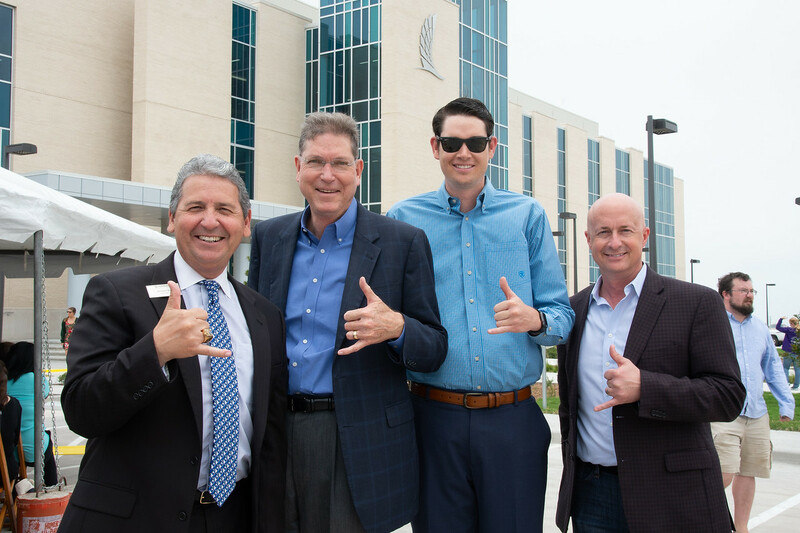 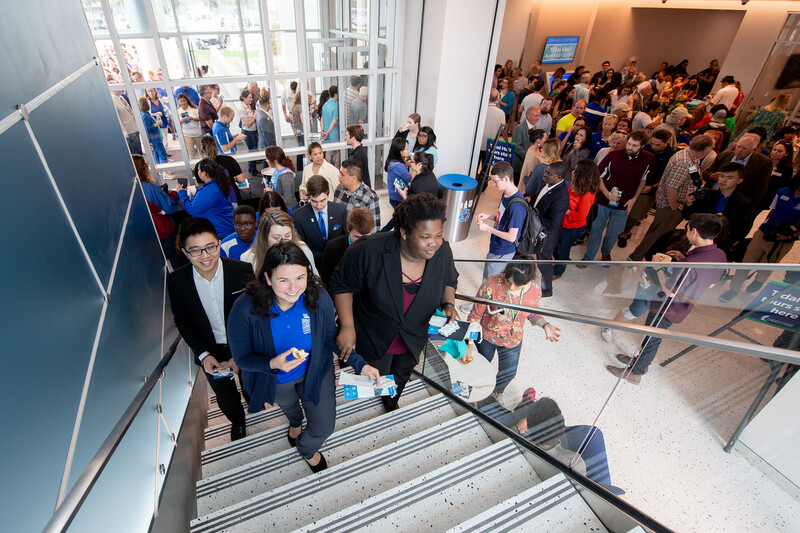 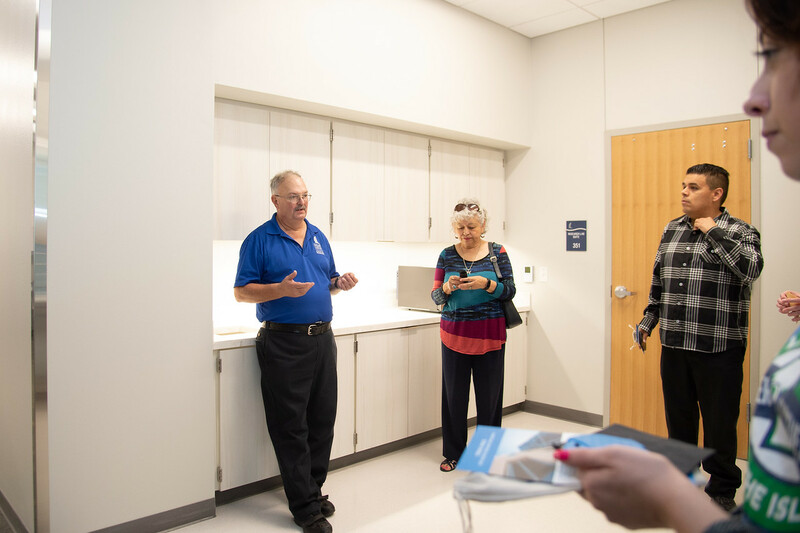 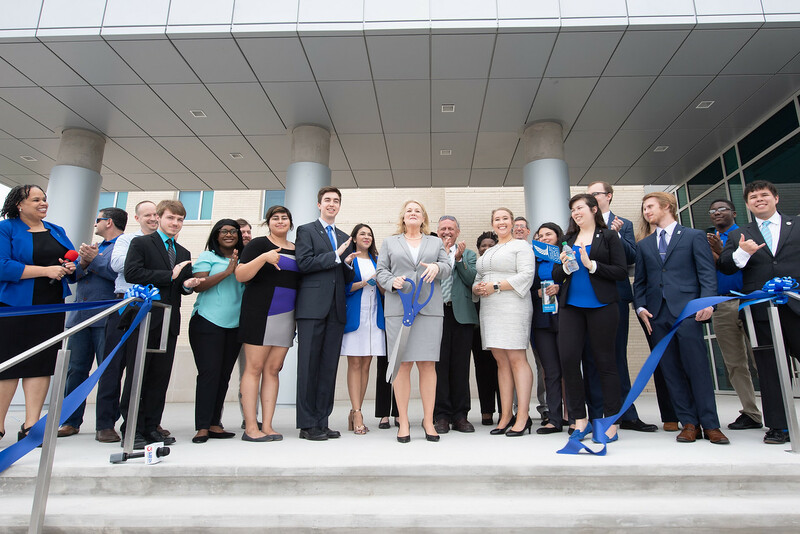 CORPUS CHRISTI, Texas – Expanding its mission of unparalleled commitment to every students’ success through high-impact teaching and research, Texas A&M University-Corpus Christi officially opened its newest facility, Tidal Hall Life Science Research Building. 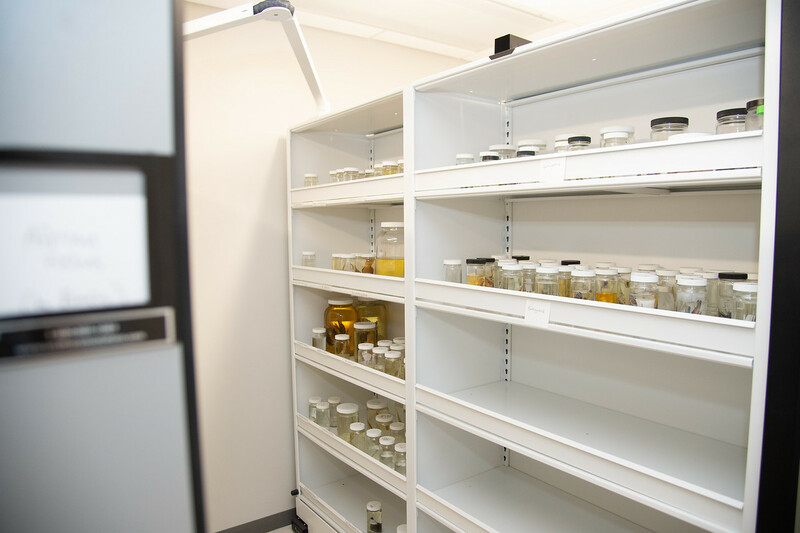 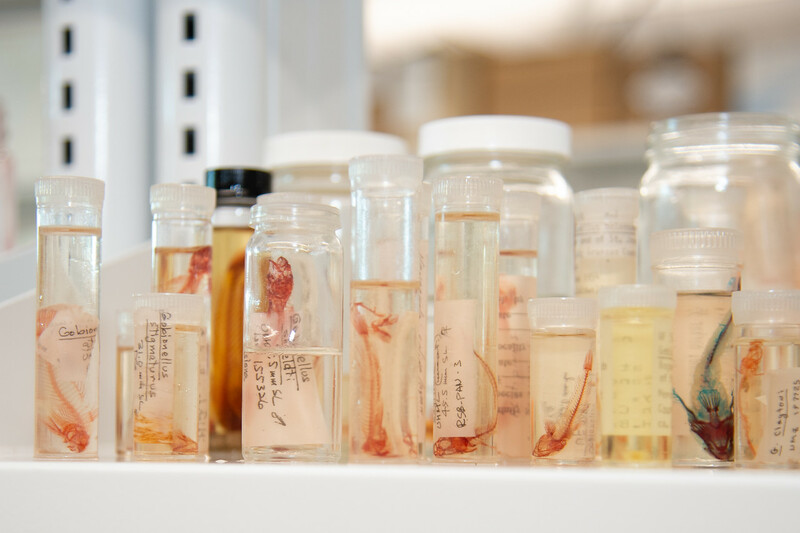 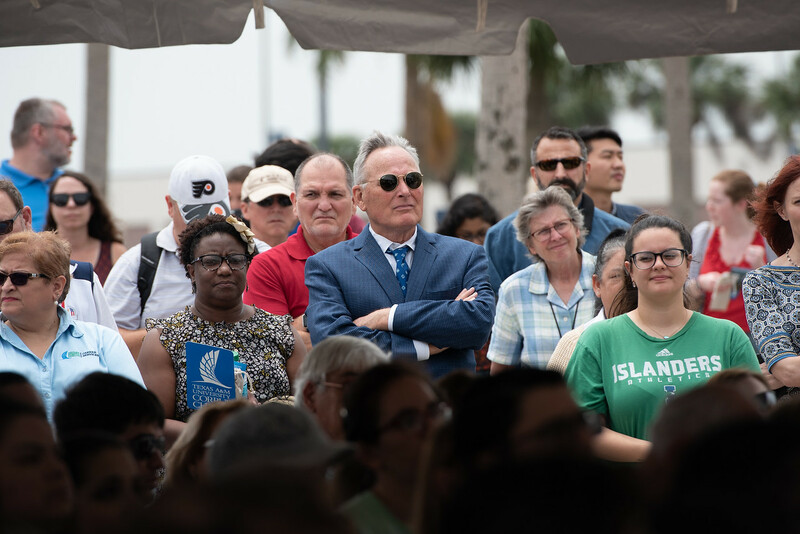 The $60-million development supports the Island University’s fastest growing programs including environmental ecology, biomedical/genetics, marine genomics, fisheries & mariculture, and marine microbiology. 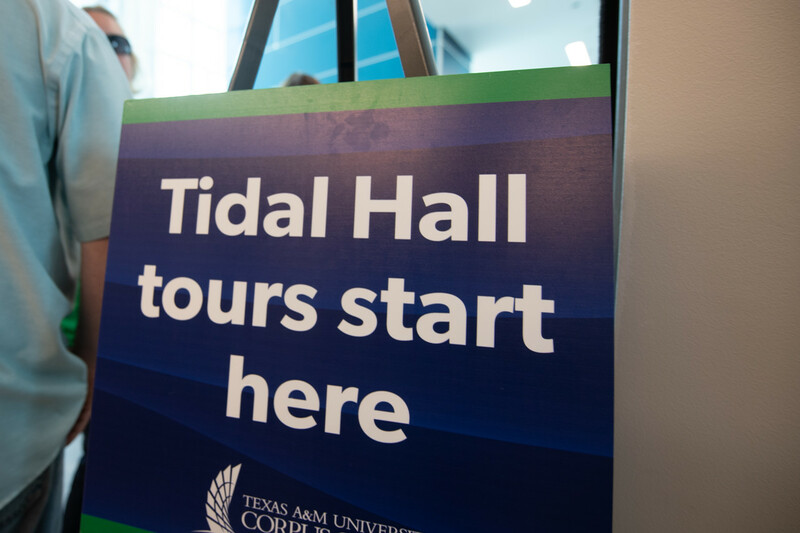 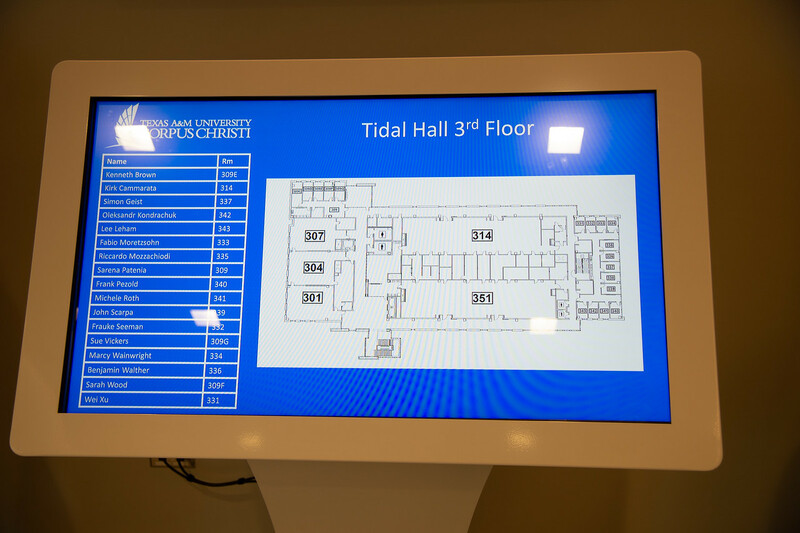 Classes in Tidal Hall are set to begin in summer 2019. 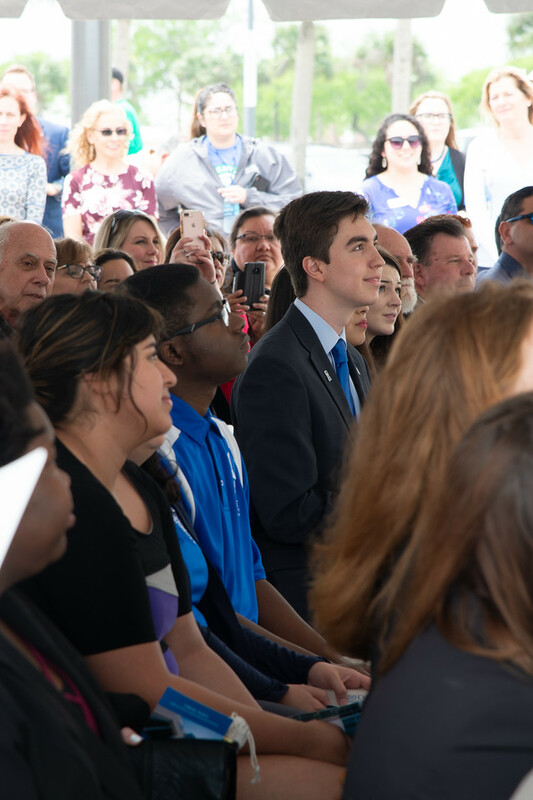 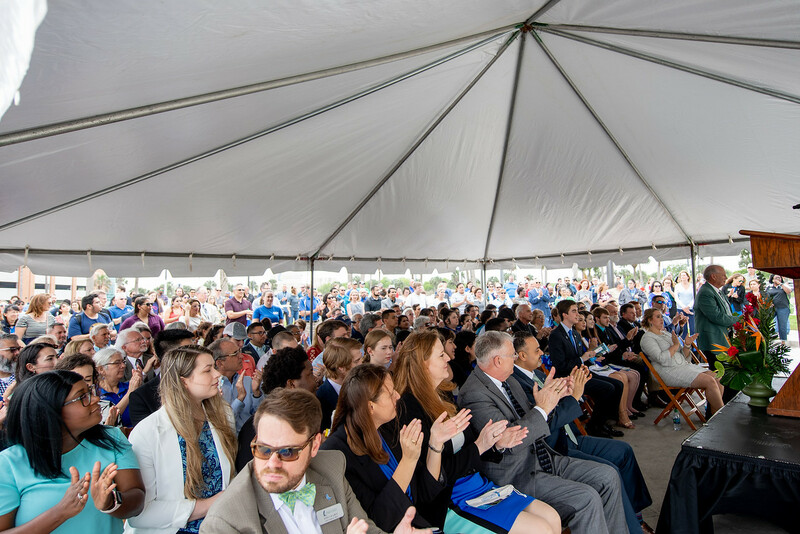 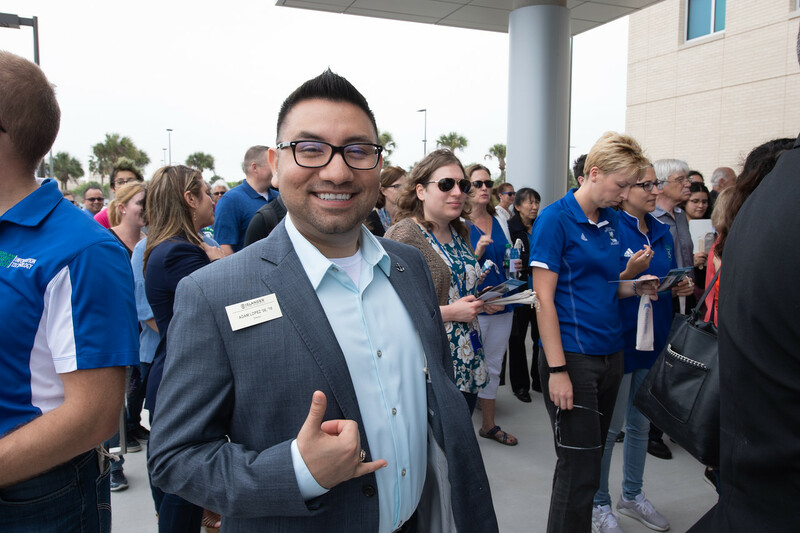 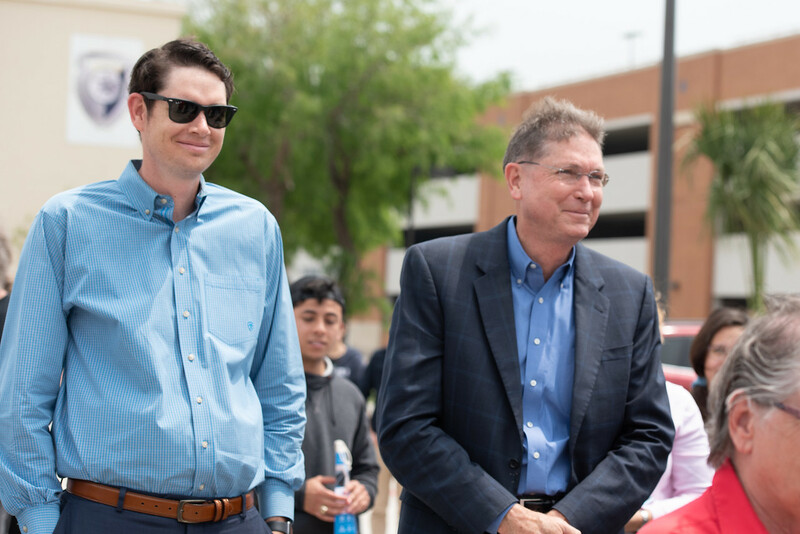 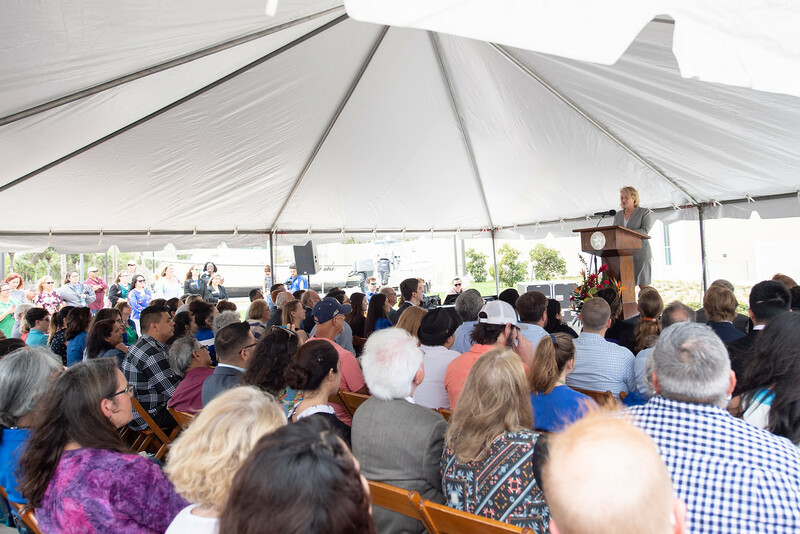 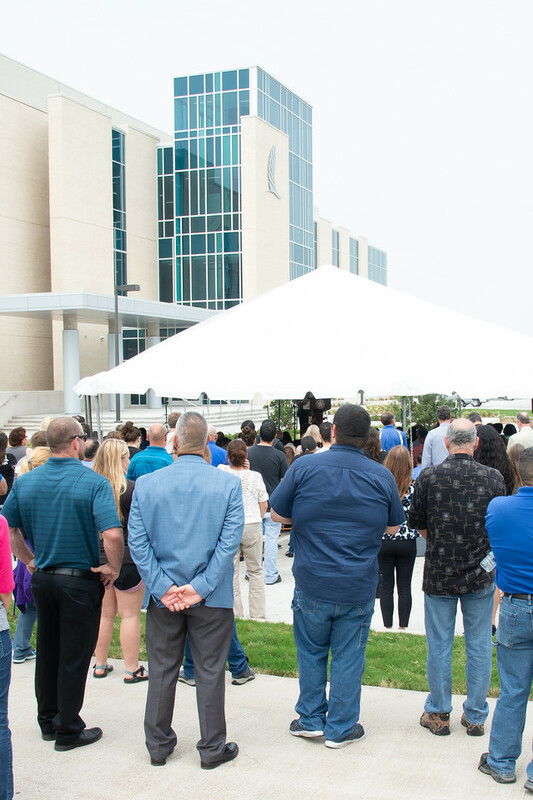 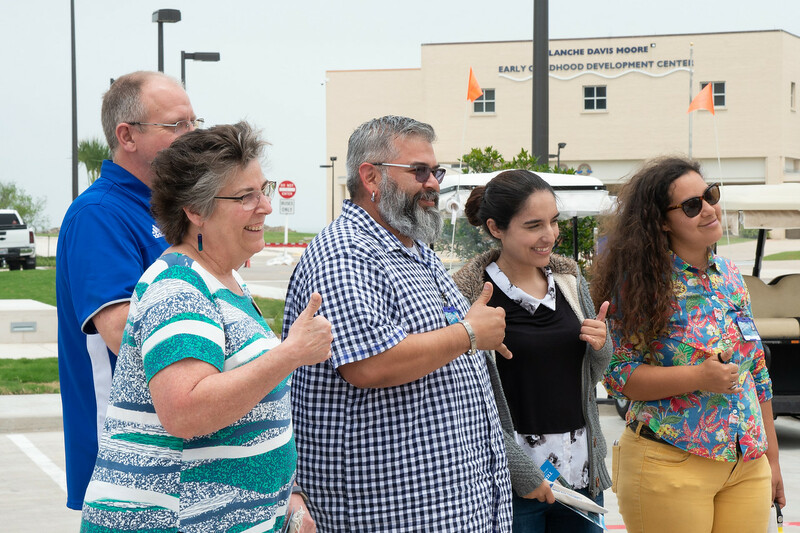 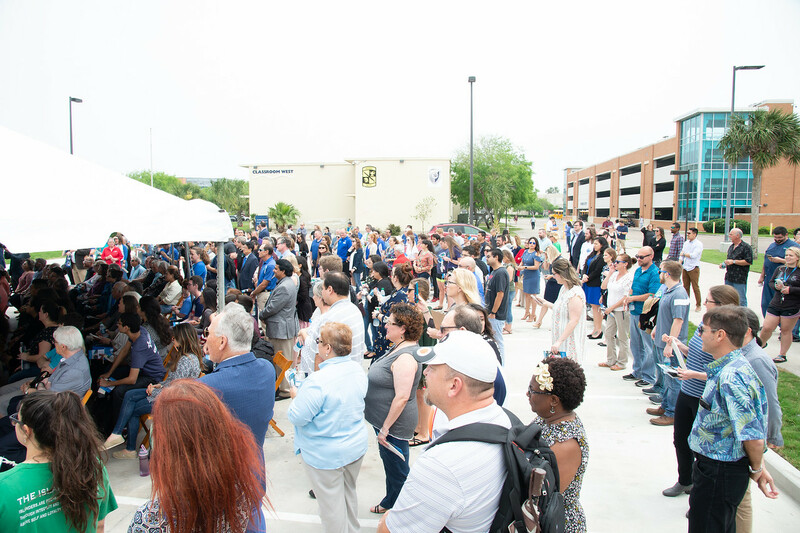 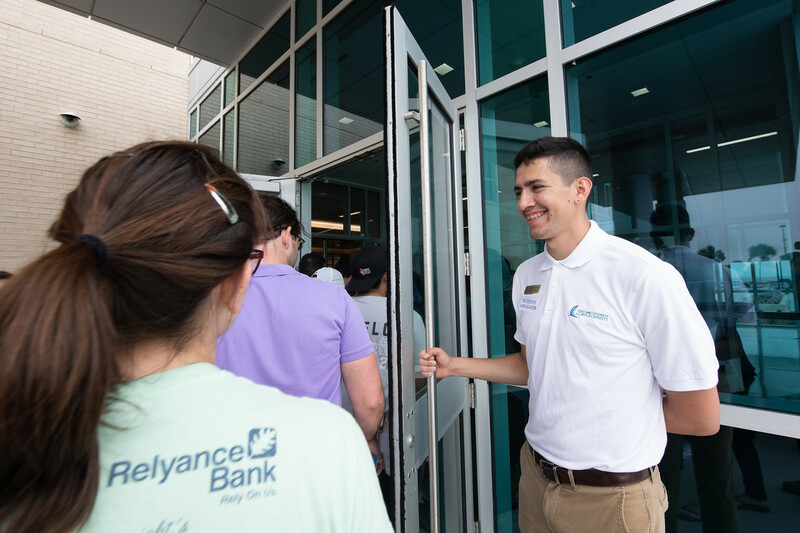 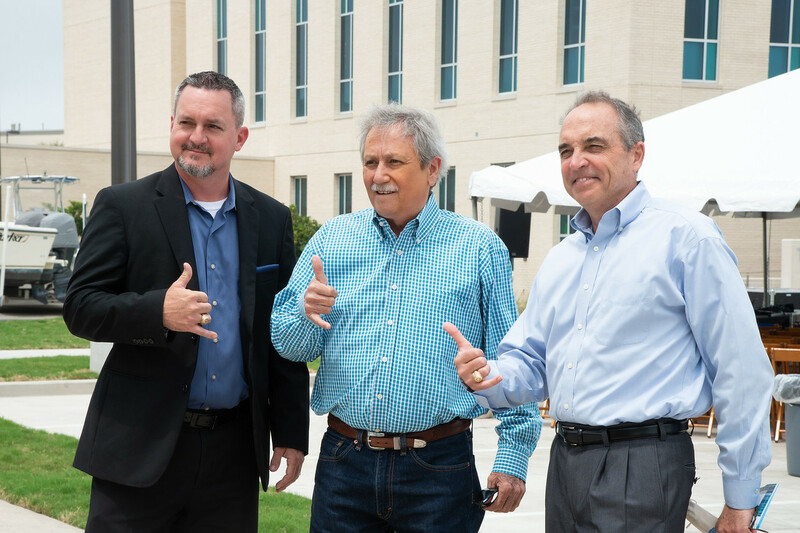 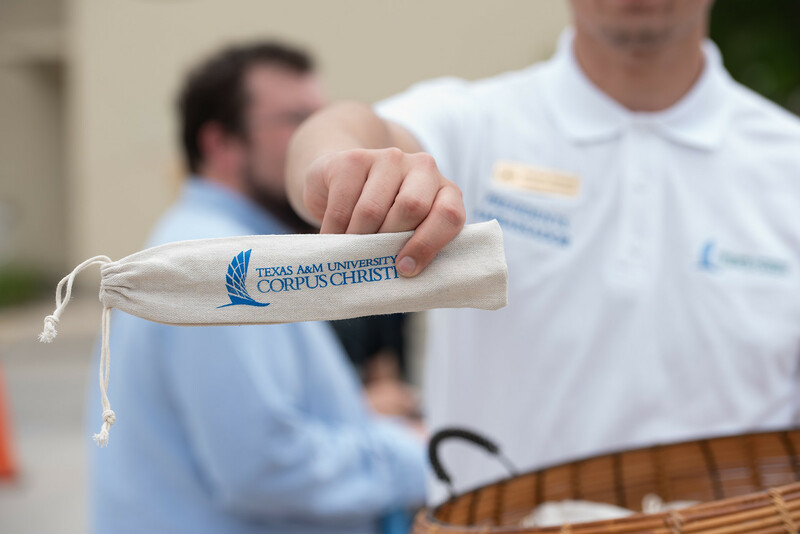 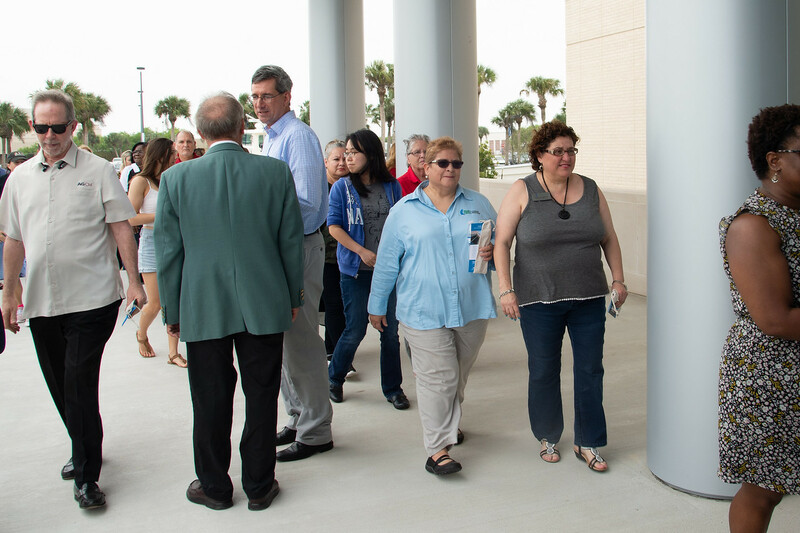 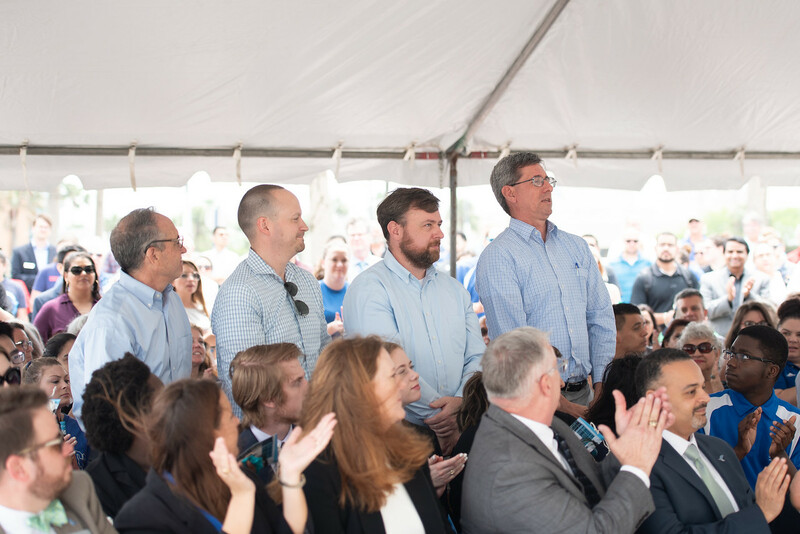 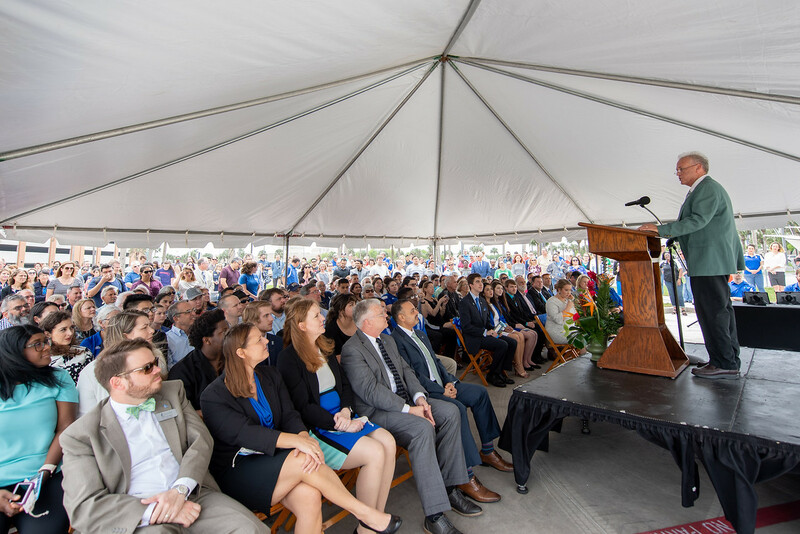 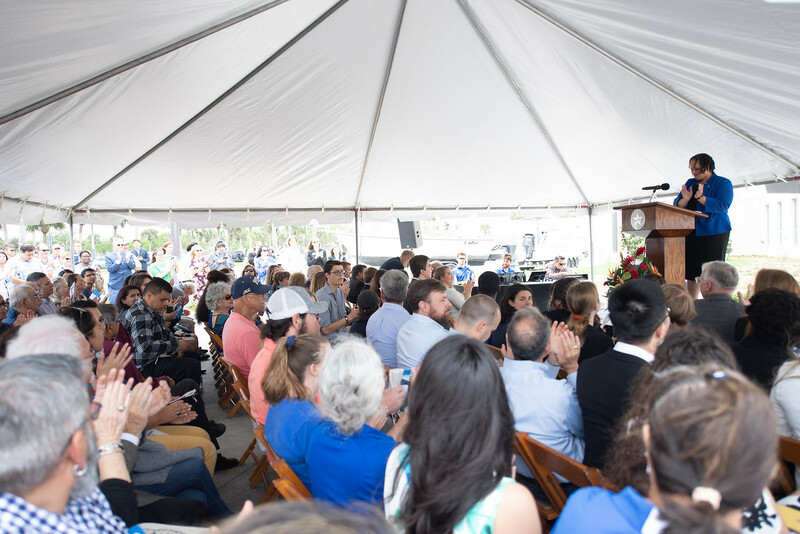 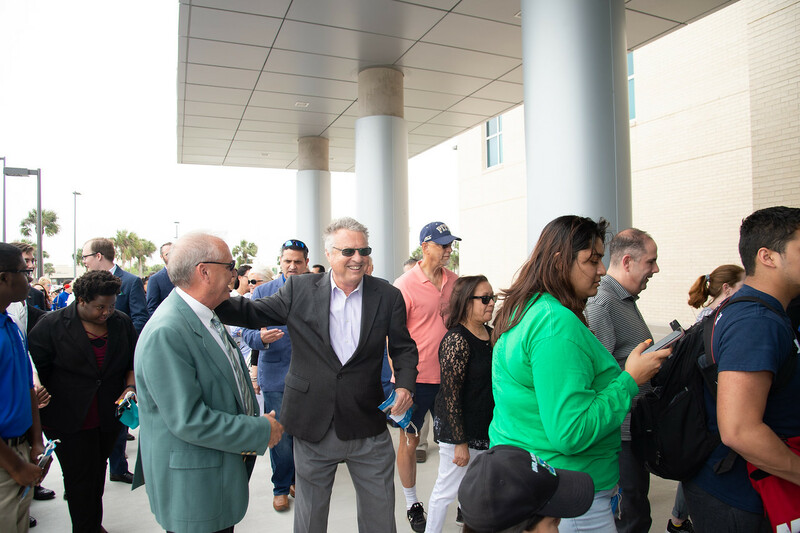 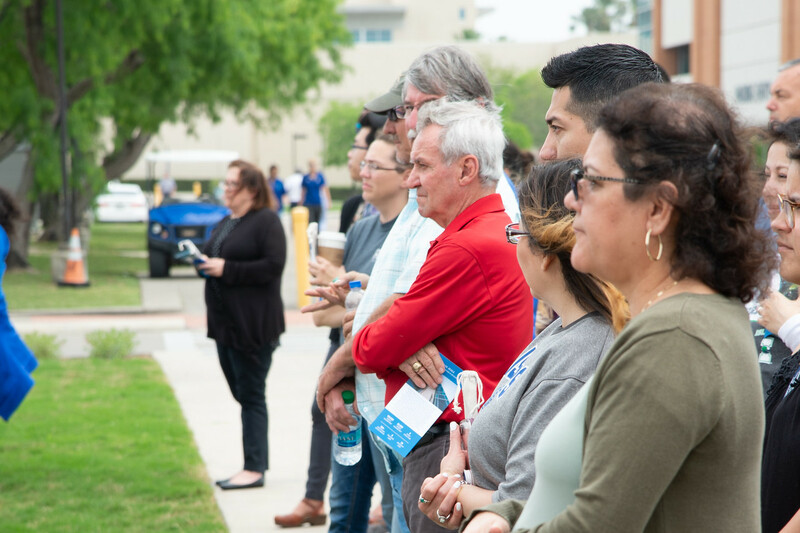 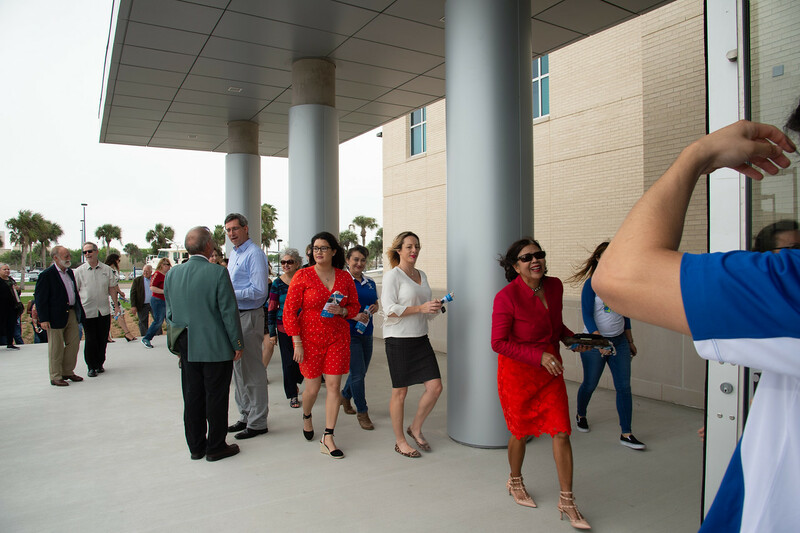 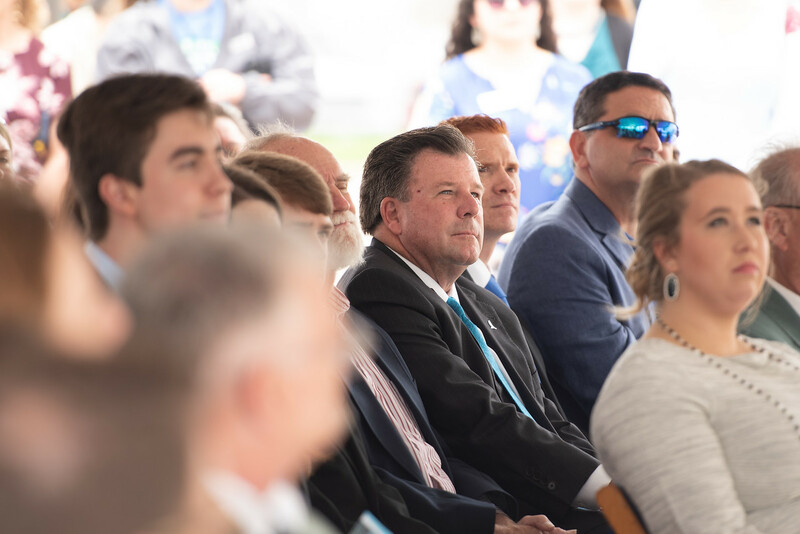 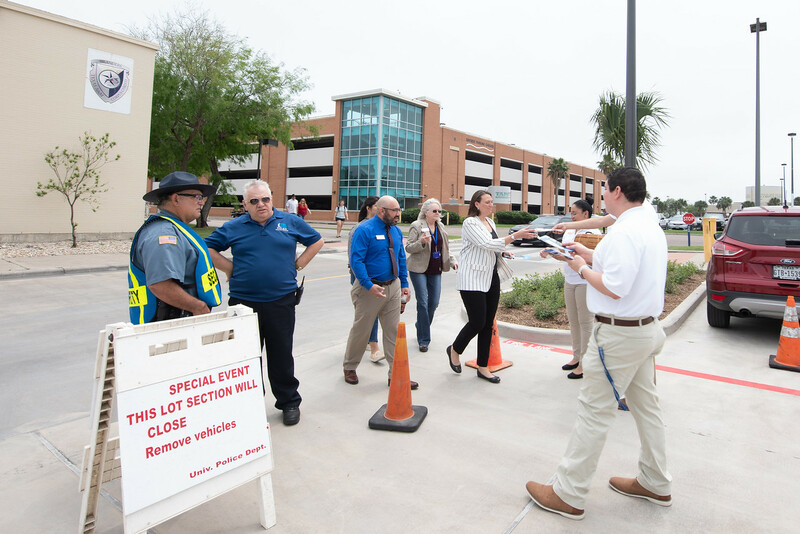 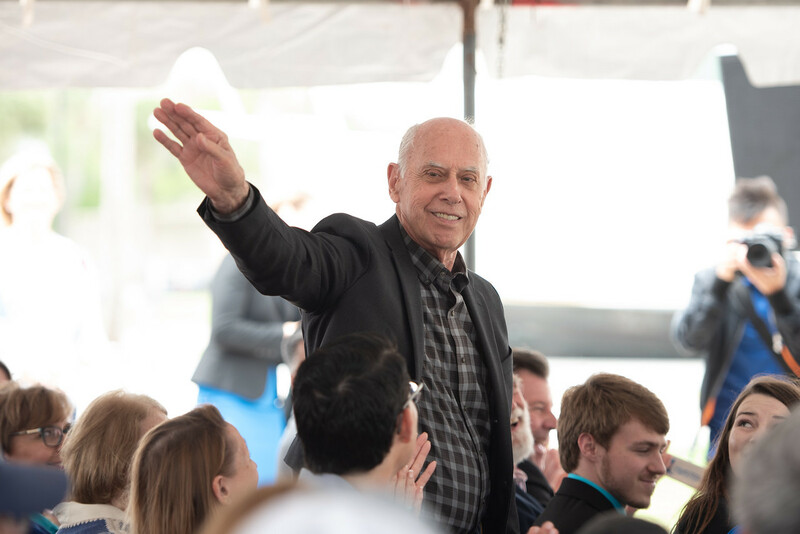 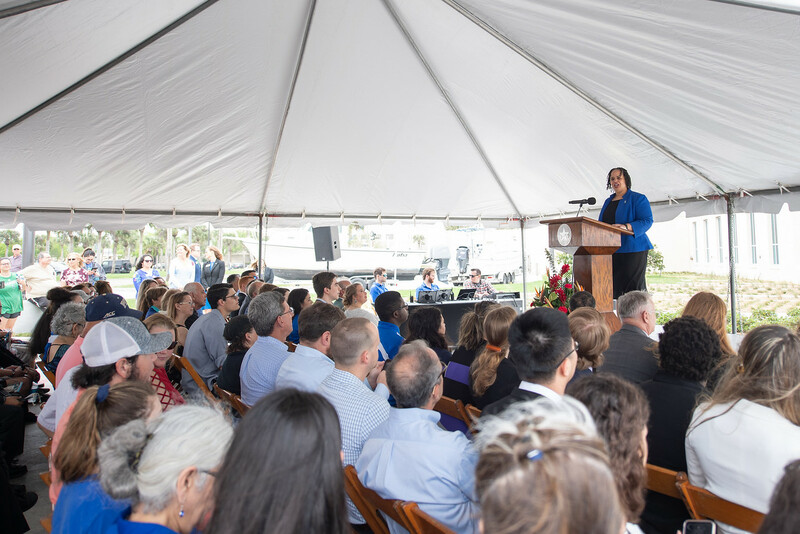 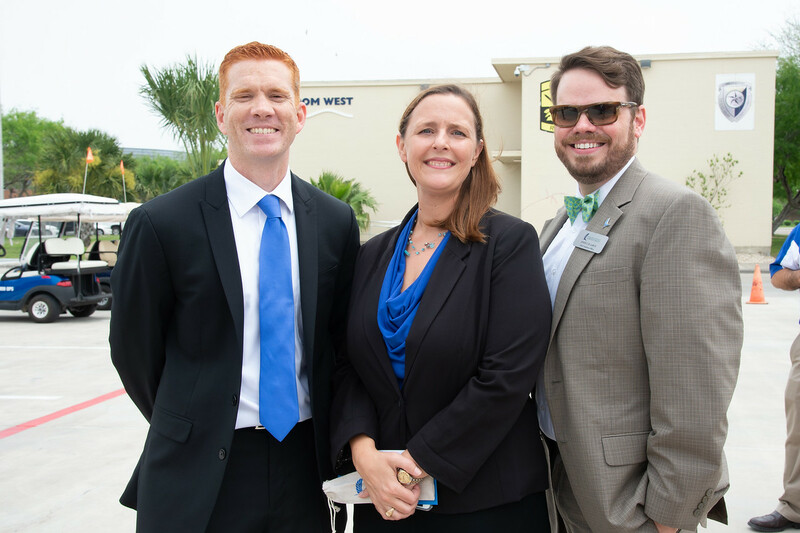 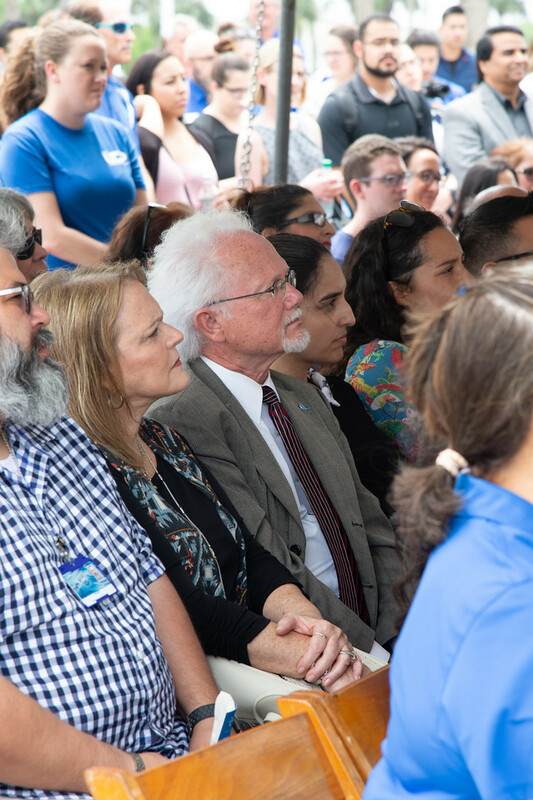 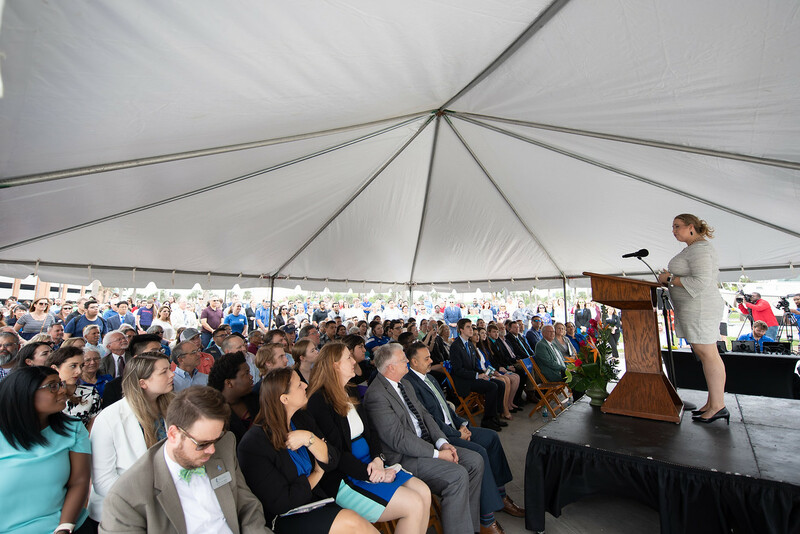 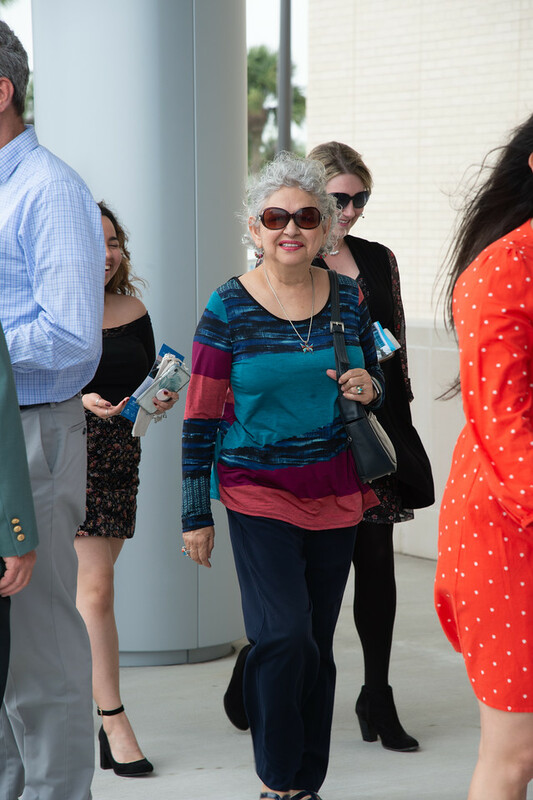 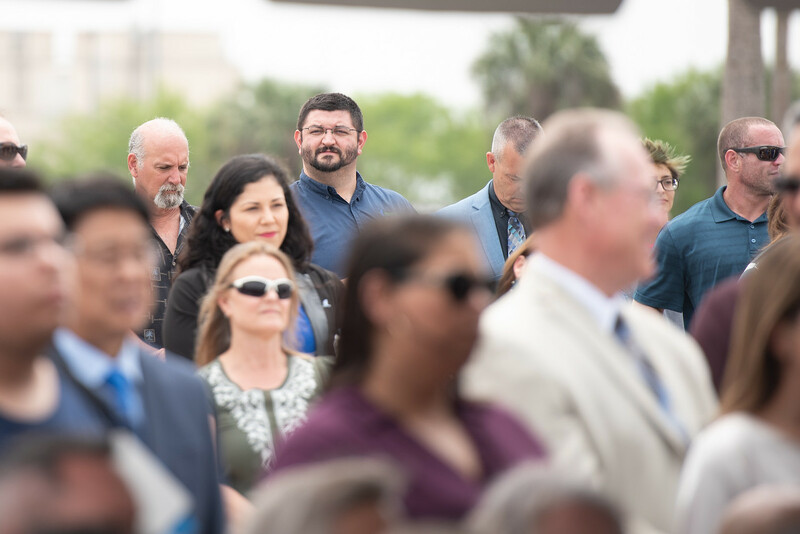 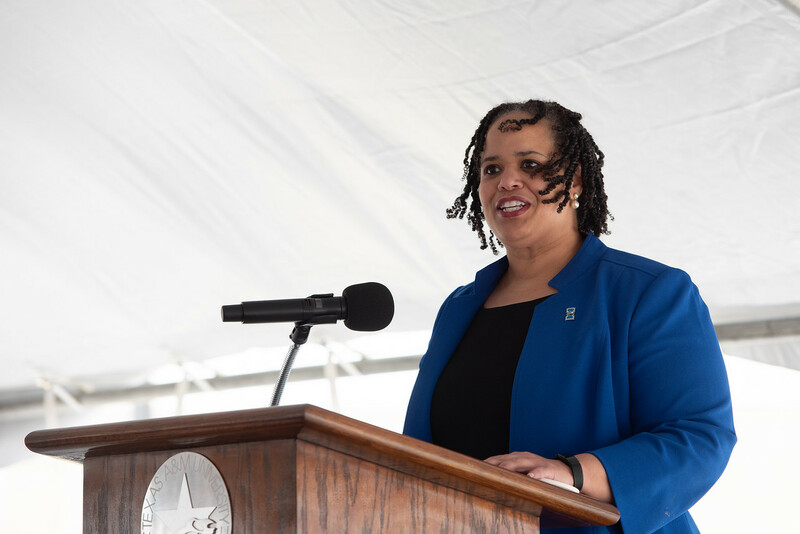 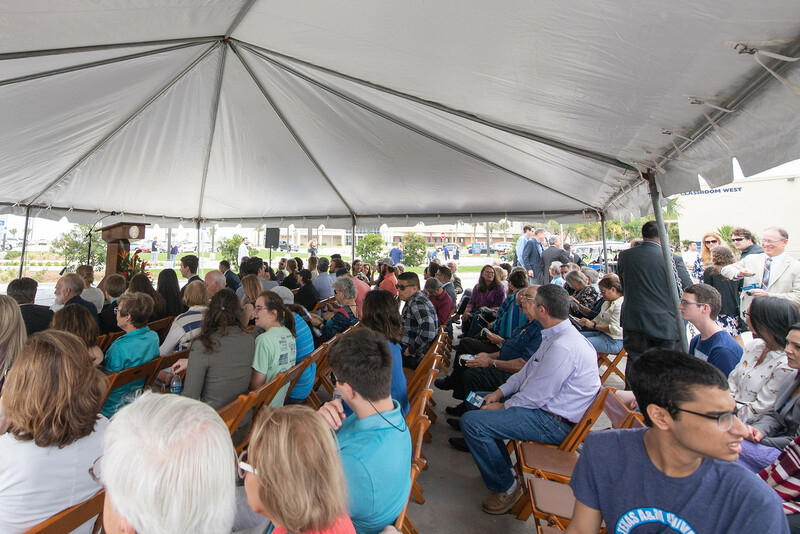 More than 300 attendees, including Islander students, faculty, staff, and administrators, along with elected officials, building contractors, and architects were present for the ribbon cutting, held April 12 in the parking lot adjacent to Tidal Hall. 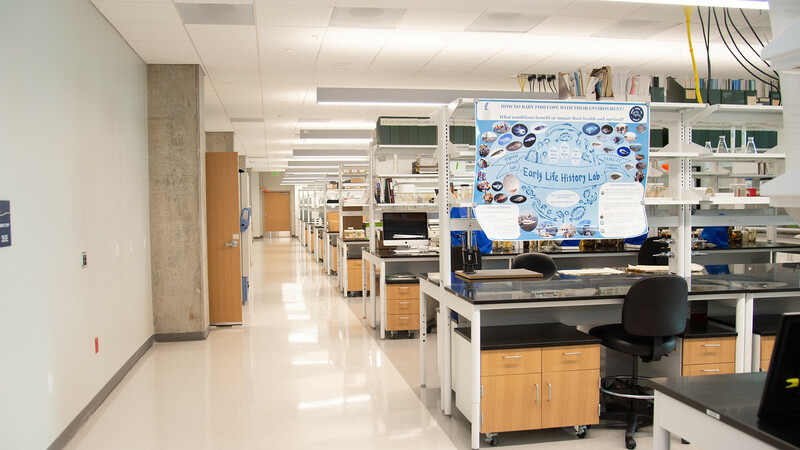 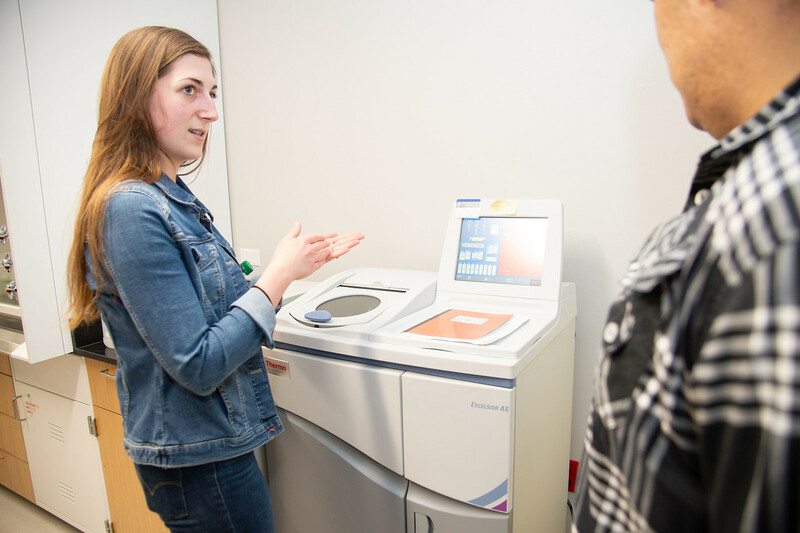 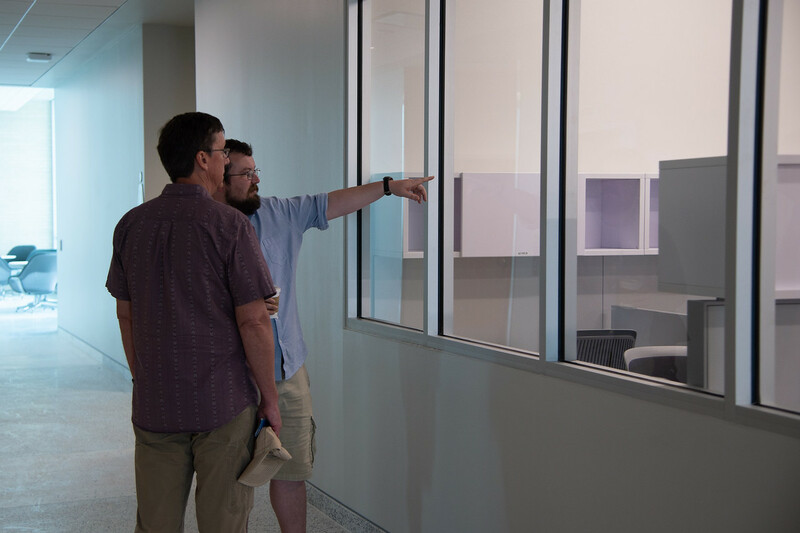 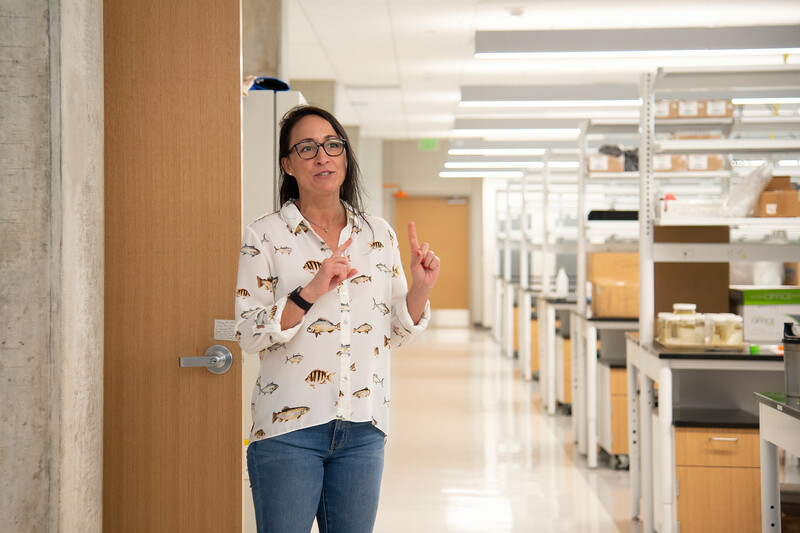 The three-story structure, with 108,000 total square feet, includes nine teaching labs and 34 research labs, all designed to be flexible and support fluctuating research needs from the undergraduate to the doctoral level. 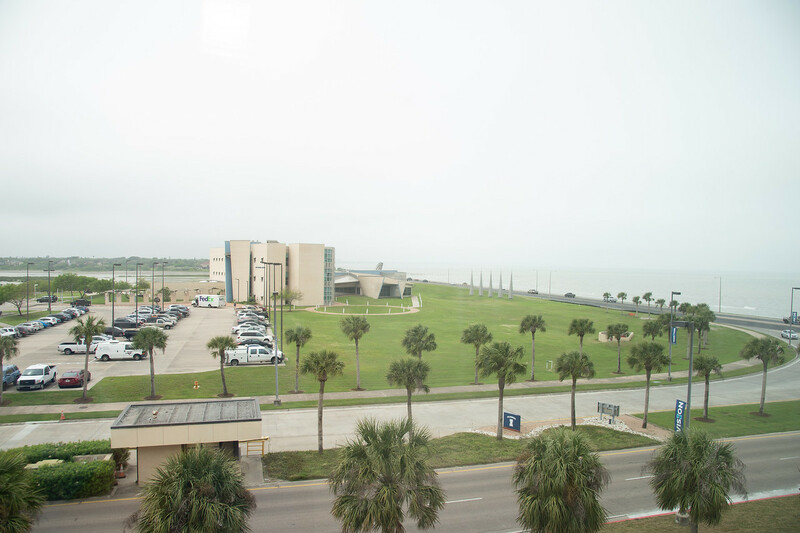 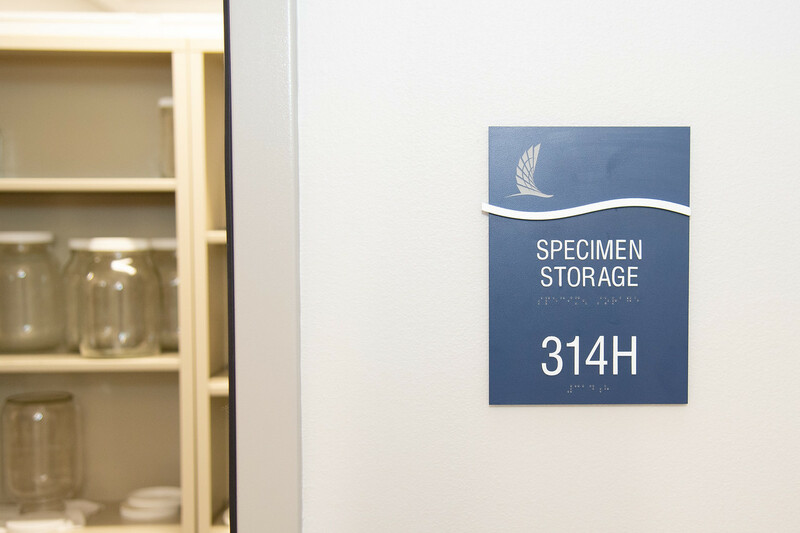 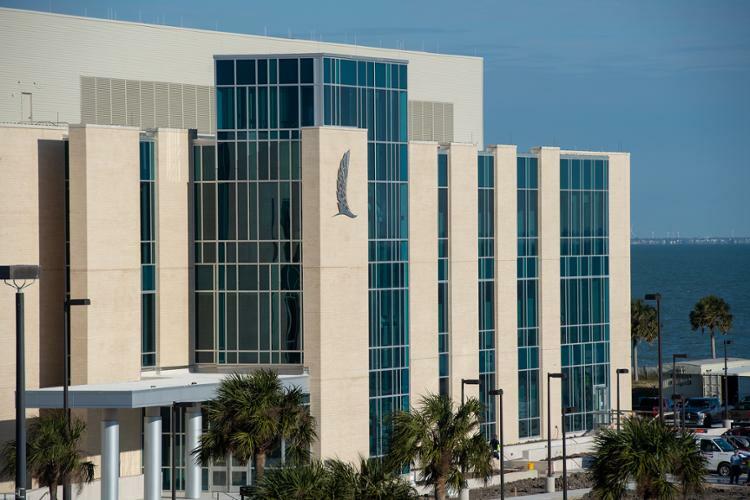 Designed with all the amenities of a state-of-the-art research facility like specialized vacuum hoods, compressed air systems, an autoclave room, an expansive equipment loading dock, aquariums, marine life observation rooms, and specialized storage spaces, Tidal Hall also boasts impressive views of Corpus Christi Bay. 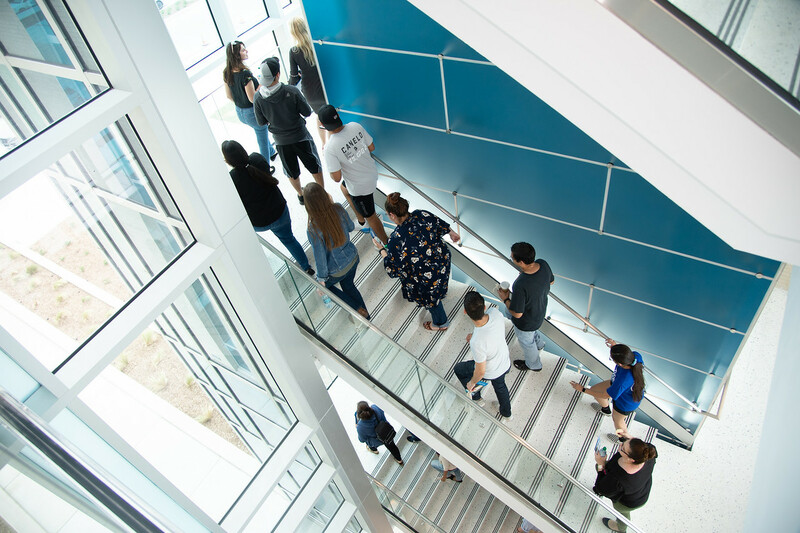 Its architecture extends pedestrian pathways, creates a major campus green space, and its landscape mimics native vegetation. 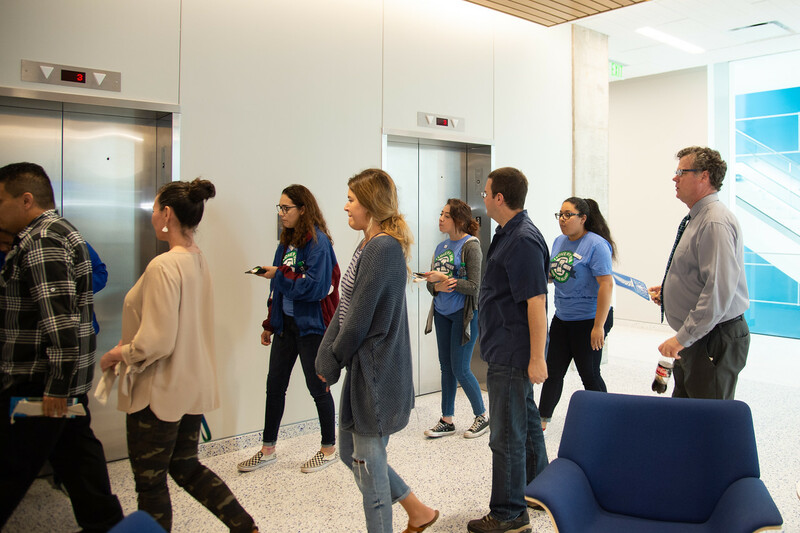 Many energy conservation and sustainable methodology and design approaches, such as building structural and environmental systems, along with the interior furnishing materials, implemented sustainability initiatives for an eco-friendly building. 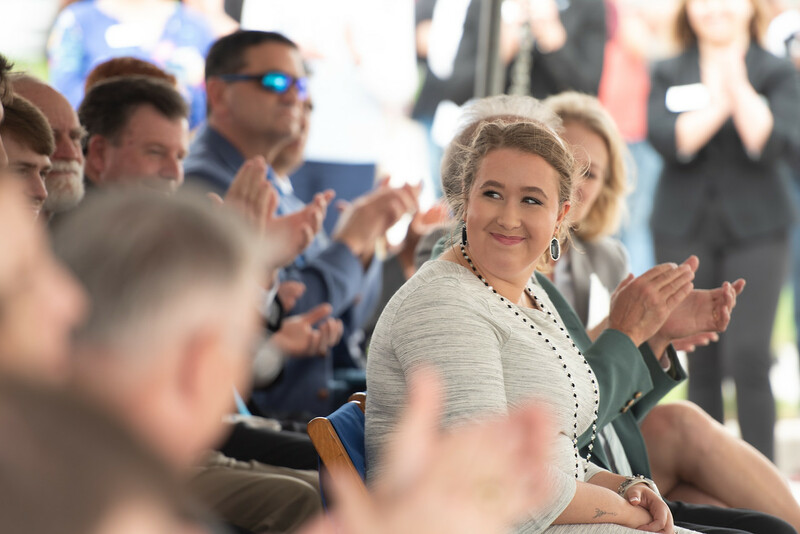 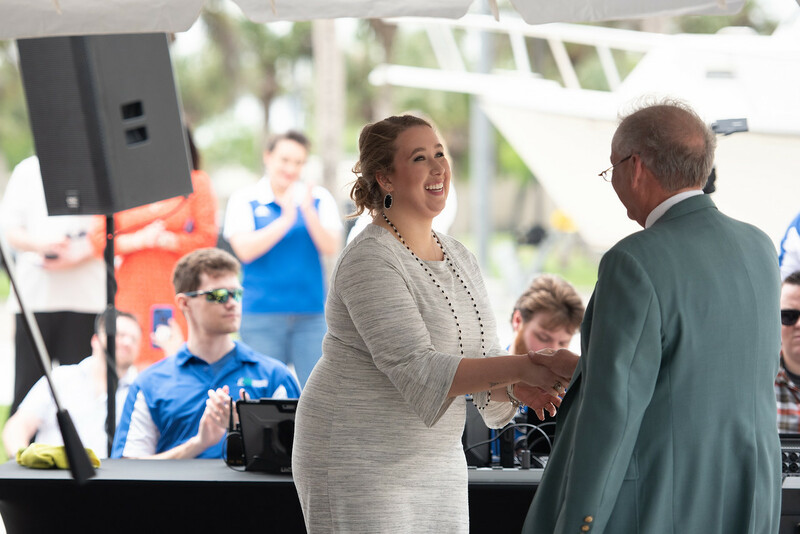 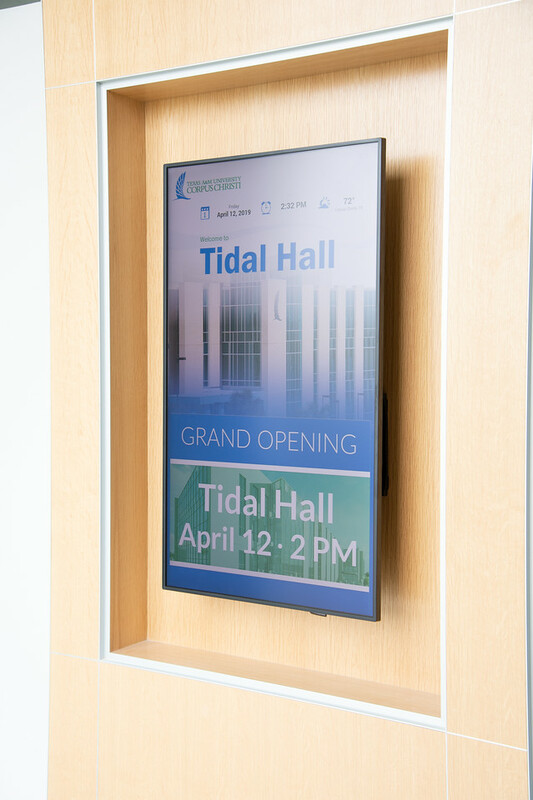 Project partners include Fulton* Coastcon General Contractors, Stantec, and AG|CM Inc.
Kristen Deatherage, Island University biology major and teaching assistant, was invited to speak at the Tidal Hall ribbon cutting. 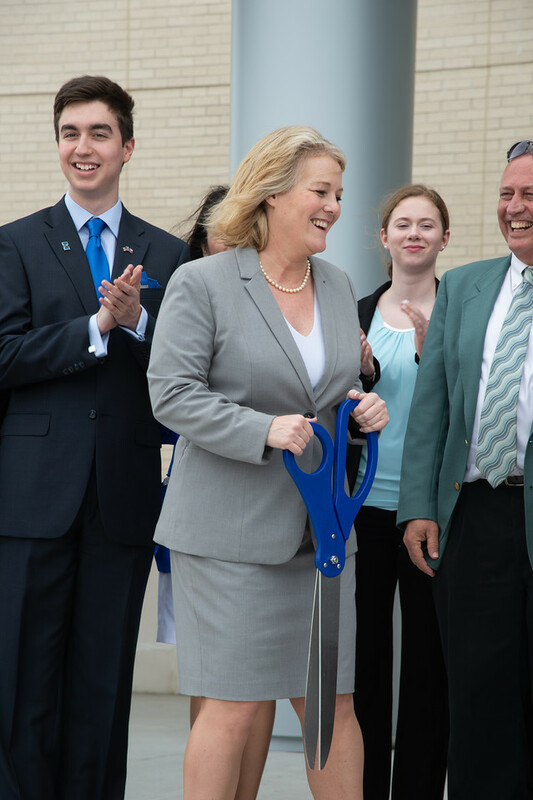 Deatherage says she and her peers look forward to utilizing the new space and equipment. 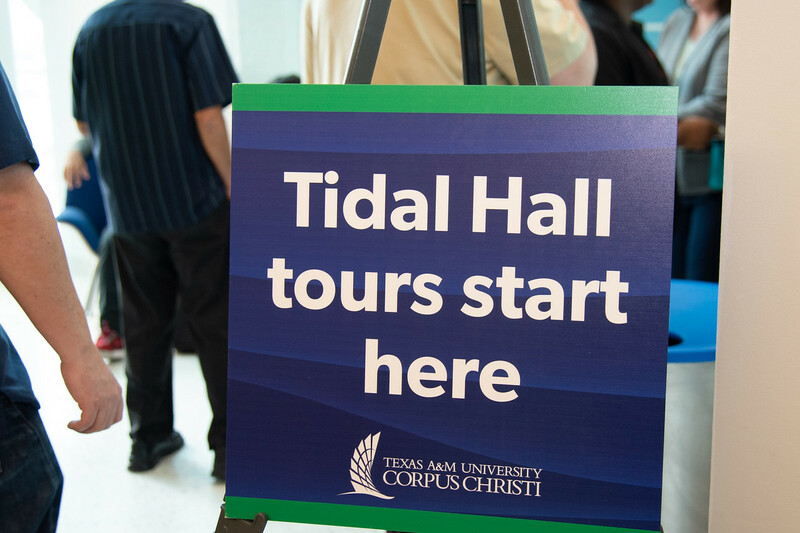 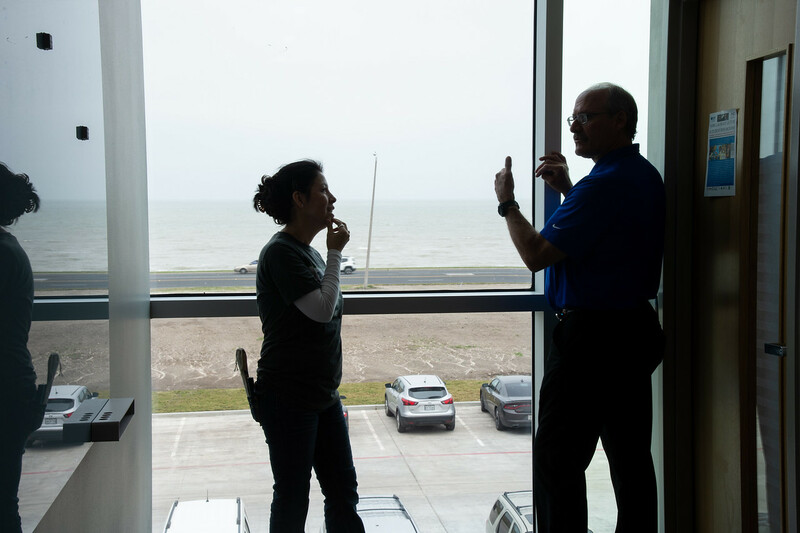 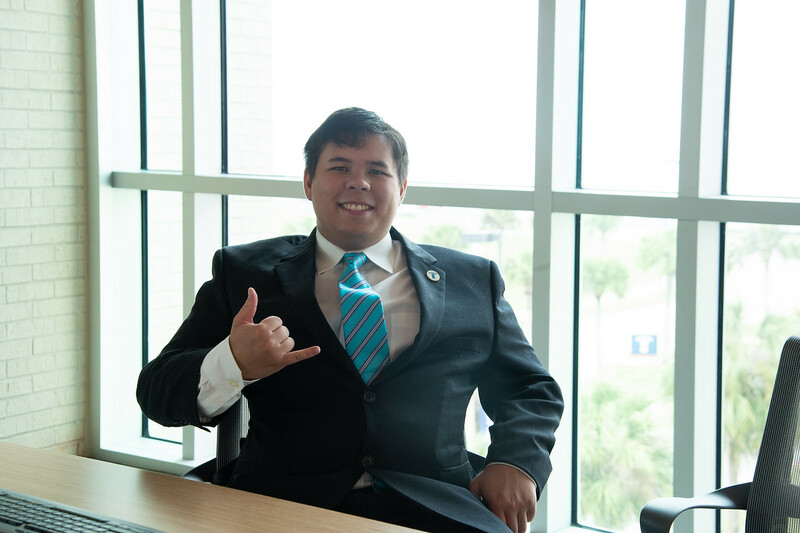 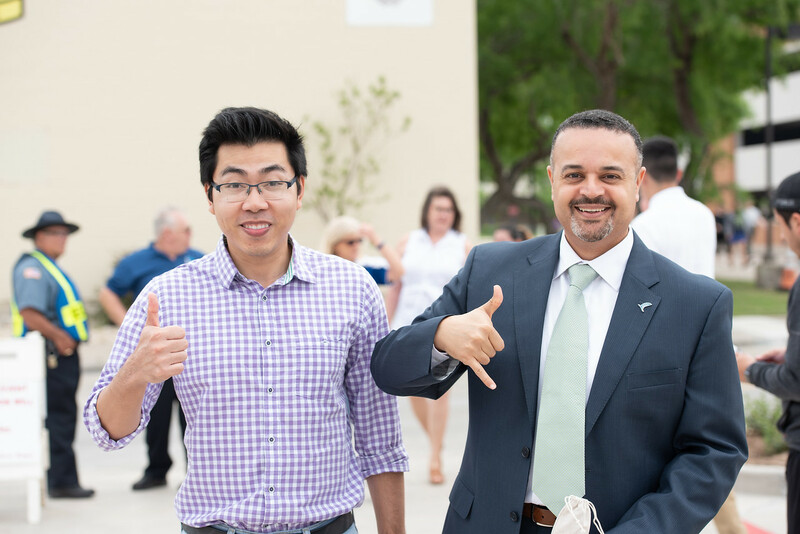 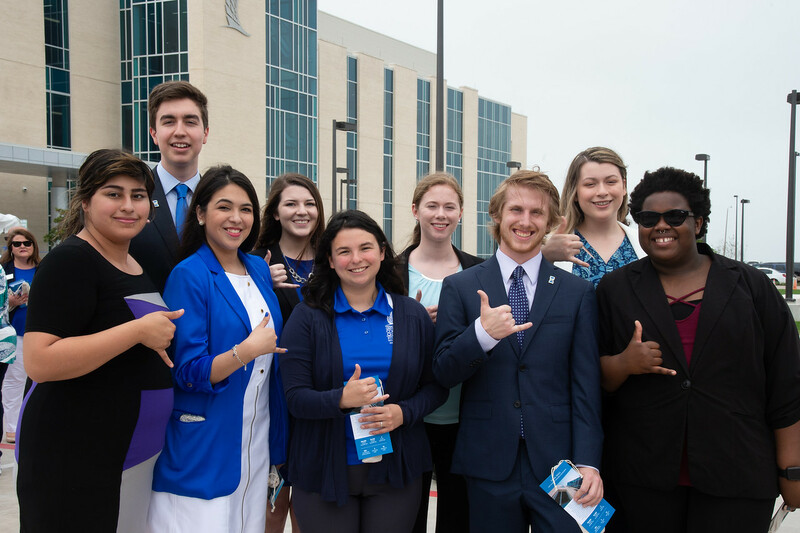 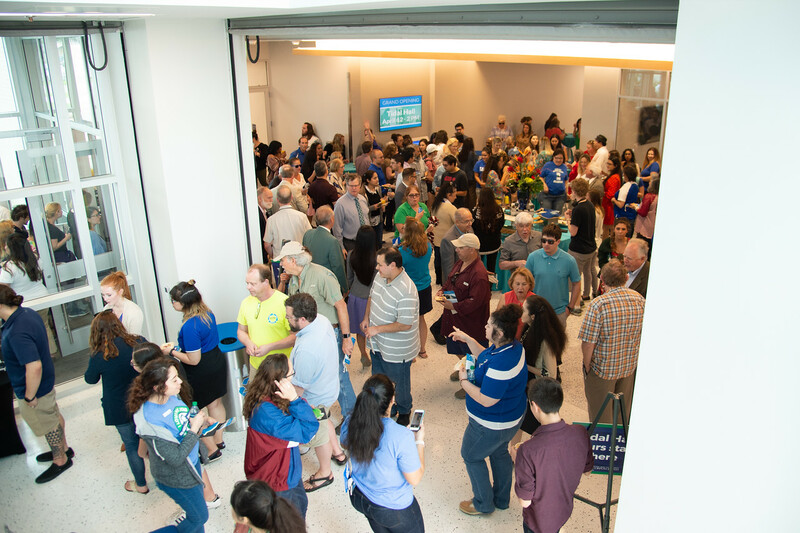 Tidal Hall helps ensure A&M-Corpus Christi will continue its new legacy as an R2 Doctoral University-High Research Activity, a classification from the Carnegie Commission of Higher Education. 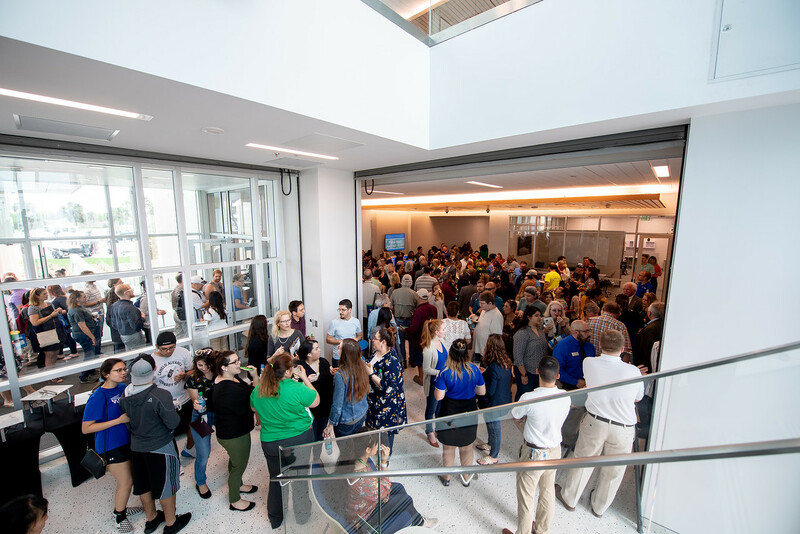 It also allows the Island University to re-purpose existing space in the Dr. Robert R. Furgason Engineering Building specifically for engineering programs and majors. 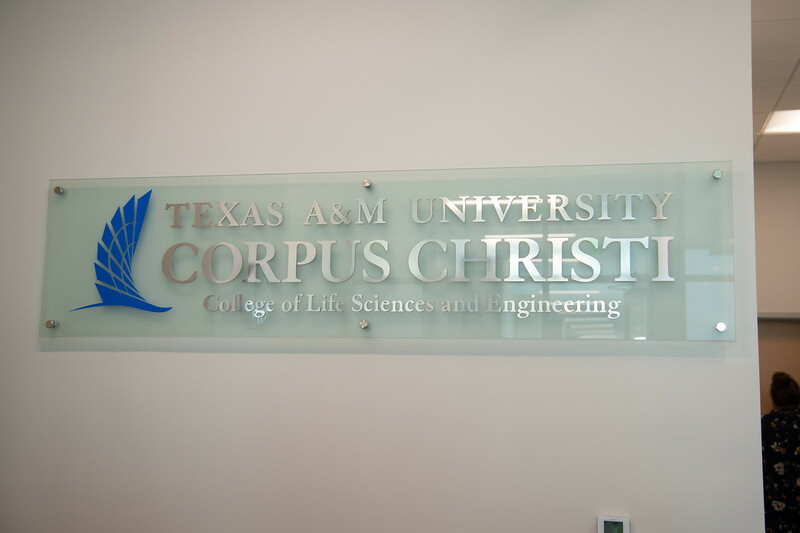 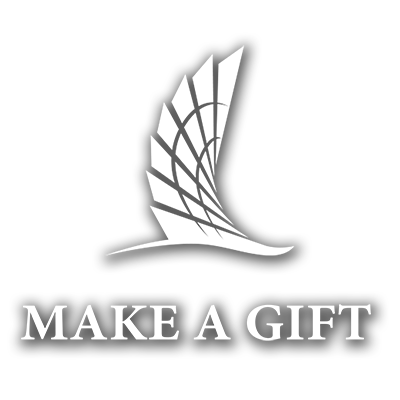 The Texas A&M University System Chancellor and Board of Regents approved the concept for the building in spring 2015, and the request to fund it with a tuition revenue bond was approved by the 84th Texas A&M Legislature, thanks in large part to the support of Senator Juan “Chuy” Hinojosa, Representative Todd Hunter, and Representative Abel Herrero. 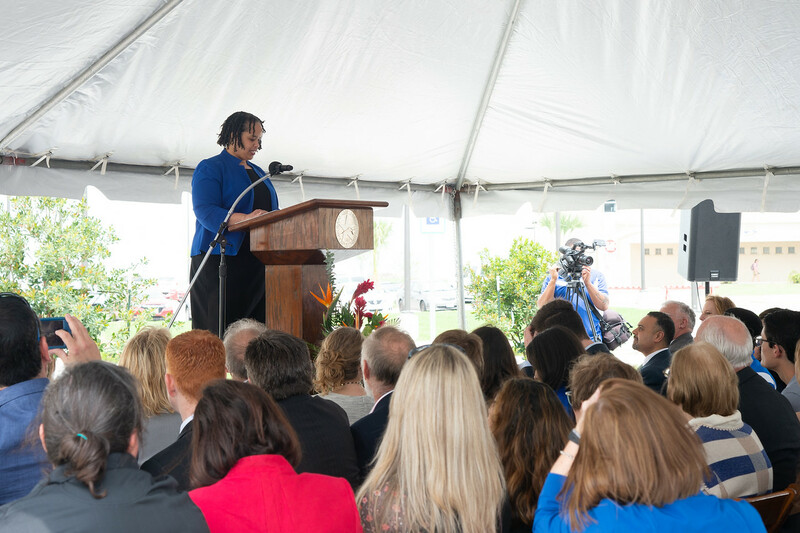 Ground was broken on the new building in September 2016.